Christmas is upon us and most markets have closed already or are winding down to end before the new year. But – if you haven’t had your fill yet – some Christmas markets continue into January for your New Years visiting pleasure! 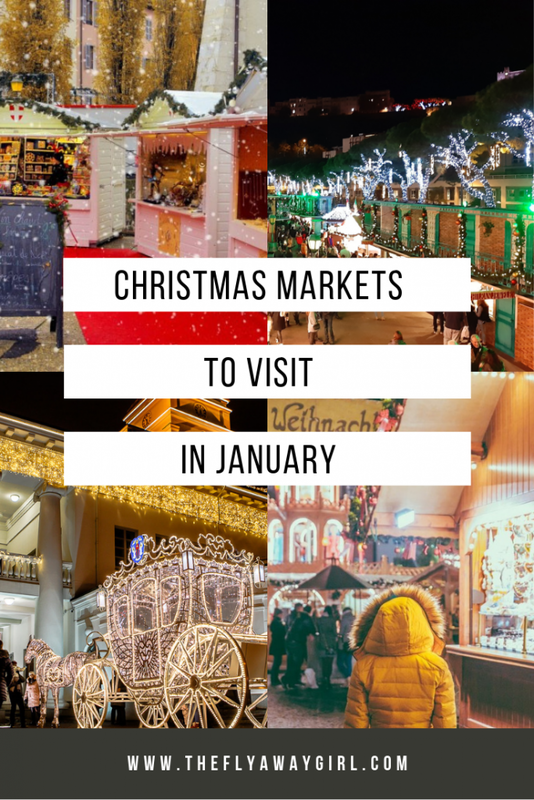 If you’re looking to adventure to some Christmas markets in January, then I have rounded up all of the festive fun still on offer into 2019. While most cities have finished their Christmas markets by December 24th (with some closing as annoyingly early as December 9th like my university city of Bath), certain countries have markets that continue on into early January. Russia and other countries who were under Russian rule at one point (or who still celebrate Orthodox Christmas) often have Christmas markets that go on until the 6th or 7th of January, the date of Orthodox Christmas. Not sure what to pack for Europe in winter? 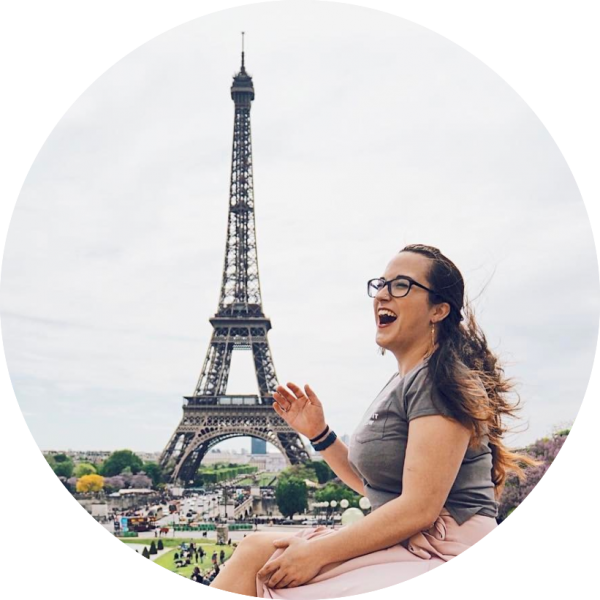 My women’s packing guide lists everything you’ll need for winter in Europe! Other countries such as Italy have Christmas markets open in January until the date of Epiphany – for Italians Epiphany is the closing of the holiday season as the witch Befana brings gifts to good children. This holiday is often accompanied by a bonfire to burn away the misfortunes of the past year or to ‘sacrifice’ the old year to give life to a ‘new and prosperous period‘. Don’t forget to book your hotels or an Airbnb – click here for £25 off your first Airbnb booking! Don’t book in GBP? Click here for a €28 discount or $32 discount instead! While most of Salzburg’s markets end before Christmas, the Sternadvent market at Sternbräu (corner of Griesgasse and Getreidegasse) continues on until the 6th January! There you can continue your festive cheer while you visit the wooden huts to buy handmade arts and crafts or visit the living nativity scene. Book your hotel in Salzburg! Located in Henndorf am Wallersee near Salzburg, the Christmas market (Weihnachtsmarkt) at Gut Aiderbichl will continue until the 6th of January. Enjoy regional delicacies, delicious Glühwein, Punsch and hot chestnuts or try some Stockbrot (twist bread/campfire bread) cooked over an open fire in the inner courtyard. Gut Aiderbichl is an animal sanctuary and during the Christmas market children can meet the rescued horses and donkeys and learn how to care for them. Entry fee: €9 for adults and €4.50 for children 4-14 years old. Children under 4 go for free. Getting to Gut Aiderbichl: Henndorf is located a 20-minute drive away from Salzburg or is 25 minutes by bus. If coming by public transport, you’ll then have to take a 5-minute taxi from Henndorf to Gut Aiderbichl. Also running until the 6th of January is the Christmas market on Innsbruck’s main shopping street, Maria-Theresien-Straße. The street is lined by trees covered in tiny lights and has around 30 stalls offering winter cuisine and gift ideas. The market is open from 11am-9pm and the stalls close at 8pm. Enjoy a mug of Glühwein and try some ‘Kiachln’ – hot doughnuts laced with sauerkraut. Don’t forget to take a photo of the giant mountain crystal made out of lights! Head to Booking.com to get a hotel in Innsbruck. 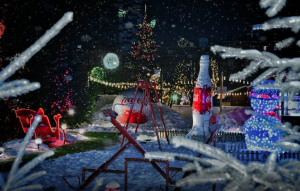 Located in the town of Valkenburg (15 minutes away from Maastricht by car or train), the Winter Wonderland at Wilhelmina Tower continues on until the 6th of January. Take the chairlift up for views over Valkenburg or enjoy a craft beer or a Limburg sweet tart. You can also find an underground nativity scene and a sand sculpture exhibit in the cave below, as well as an outdoor toboggan run. Entry fee: €7 for adults (€9.75 including round trip chairlift), €3 for kids under 12 or €5 with including chairlift. Don’t forget to book a hotel in Valkenburg or Maastricht! The Christmas market (“Kerstmarkt“) on the Market Square in Ypres will be open until the 2nd of January. The market has around 30 cosy chalets offering delicacies such as apple fritters (appelbeignets), Liège waffles (Luikse wafels) and nougat, an indoor ice rink (€7 including skate hire) and a merry-go-round. Book your hotel in Ypres here. 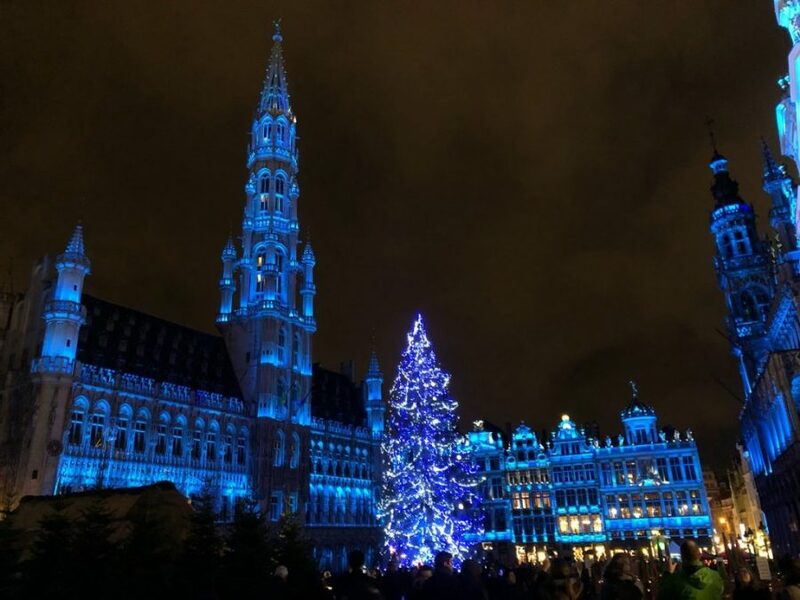 Brussels’ “Winter Wonders” (“Plaisirs d’hiver”) Christmas market in the city centre has over 200 chalets as well as fairground attractions, a covered ice rink at Place de la Monnaie and a Christmas tree and even a sound and light show on the Grand-Place. The market will go on until the 6th of January. Last year over 2.5 million visitors came to Winter Wonders! They also have a ‘celebrated country’ each year where one country has an area in the market (rue Orts) with traditional music, dancing, food and handicrafts – this year’s country is Finland so you can try Finnish delicacies, visit a Lapland tent and warm yourself at braziers all in the centre of Brussels! Explore the city with a local on this half-day tour of festive Brussels! Don’t forget to book a hotel. Antwerp’s Christmas market will also continue until the 6th of January with over 100 stalls, an ice skating rink at Groenplaats, a Ferris Wheel and children’s fairground rides. 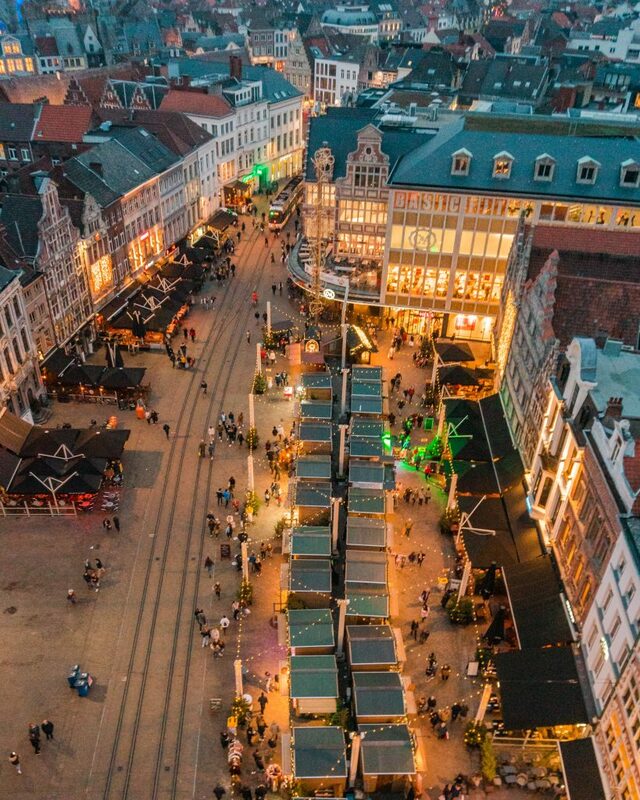 All in one area of the city centre in different squares, visit wooden huts and sample some hot chocolate or Glühwein or eat some delicious Belgian waffles and smoutebollen (fried dough, sometimes called Dutch doughnuts). Read more about Antwerp’s Kerstmarkt in Jurga’s article! Check out places to stay in Antwerp. Also continuing until the 6th of January are Ostend’s Christmas markets. “Winter in the Park” at Leopoldpark has over 50 chalets as well as skating on the lake (€7) and the market at Wapenplein is home to ‘Santa’s House’, a cosy and festive cabin that has free entry. Het Wapenplein is also home to Belgium’s biggest ice rink during the Christmas market, costing €6 including skate hire. Don’t forget to book a hotel in Ostend! Durbuy in Wallonia is home to a Christmas market and ice rink until the 6th of January. Durbuy may only have 350 residents (the smallest town in the world, possibly) but the Christmas market is one of the most famous in the Ardennes area. Stalls sell festive handicrafts, gingerbread and also Belgian delicacies like waffles, sausages from Ardennes and fruit fritters (beignets) as well as French-influenced food and drink like foie gras on hot potatoes, oysters and champagne. There is also a skating rink (time to work off those waffles!) and in the evenings the market becomes Durbuy’s ‘place to party’ with bottles of sweet wine or craft beer on offer. Getting to Durbuy: Durbuy is 40-50 minutes away from Liège or 2 hours by car or bus from Brussels. Brussels Charleroi is a 1 hour drive away. Read more about Durbuy’s Christmas market in Paulina on the Road’s article! Take a look at hotels in Durbuy. Over 150 wooden huts dot the centre of Gent from Sint-Baafsplein, along the Botermarkt and Klein Turkije to the end of Korenmarkt. The market is on until the 6th of January and has an ice rink, Ferris wheel and a ‘Moose bar’. There is also the ‘Winter Wonder Castle’ at the Castle of the Counts with a winter bar, beautifully decorated Christmas trees and a Viking atmosphere! Getting to Gent: Gent is 40 minutes by train or 45-60 minutes by car from Brussels. Bruges is 25 minutes away by train and Ostend is 40 minutes away by train. Find a hotel in Gent here. The Hasselt Christmas market is part of the Hasselt Winter Wonderland and has an ice rink, a carousel, a roller coaster and lots of stalls selling food, drink and handicrafts. The skating rink is undercover so you can skate whatever the weather and the roller coaster even has flying reindeer – Hasselt’s Christmas market is recommended as one of the best in Belgium for families with children. The Winter Wonderland will be open until the 6th January! Getting to Hasselt: Hasselt is a 45-minute drive from Maastricht (Netherlands) and Maastricht Airport or 1 hour by bus from Maastricht central. Antwerp is 1.5 hours away by car or train and 1h15 from Brussels. Brussels Zavantem Airport is around 1 hour – 1h15 away. Don’t forget to book your hotel. Yerevan’s Christmas Fair is located on Northern Avenue and has 46 stalls selling souvenirs, decorations, handicrafts, sweets, dried fruits and Armenian wine. The Christmas Fair will be open until January 6th. 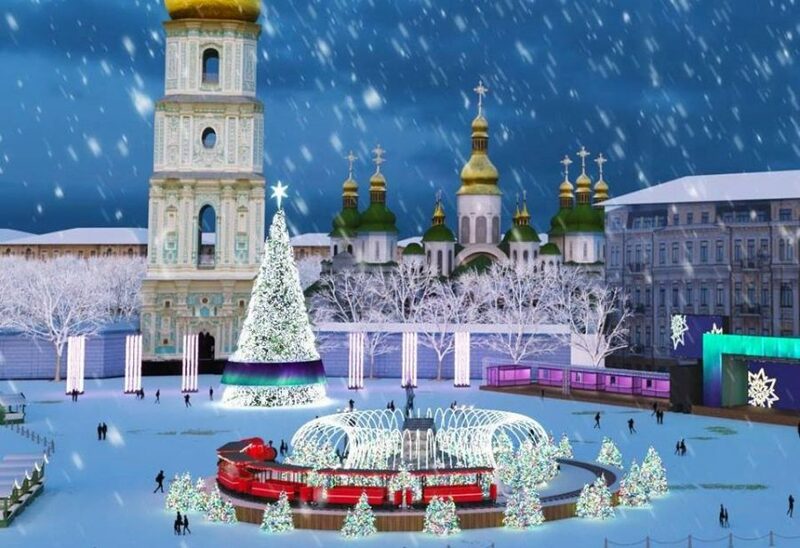 “Ice City” in Freedom Square is open until January 13th with Santa Clause’s house and ice constructions on show. The “Swan Lake” ice rink is also open during the winter months from 11am to 10pm. January 6th is also the day of the “Christmas in Yerevan” performance (6pm on Freedom Square), a traditional concert programme dedicated to Armenian Christmas. Find a hotel for Yerevan. Baku’s Christmas fair or “Soyuq əllər, isti ürək” (Cold Hands, Warm Heart) is a charity fair held in Fountain Square and will be there until the 15th January. All profit made from the fair go towards charity work by the Nargis Fund, a charity that helps children with disabilities and low-income families in Azerbaijan. 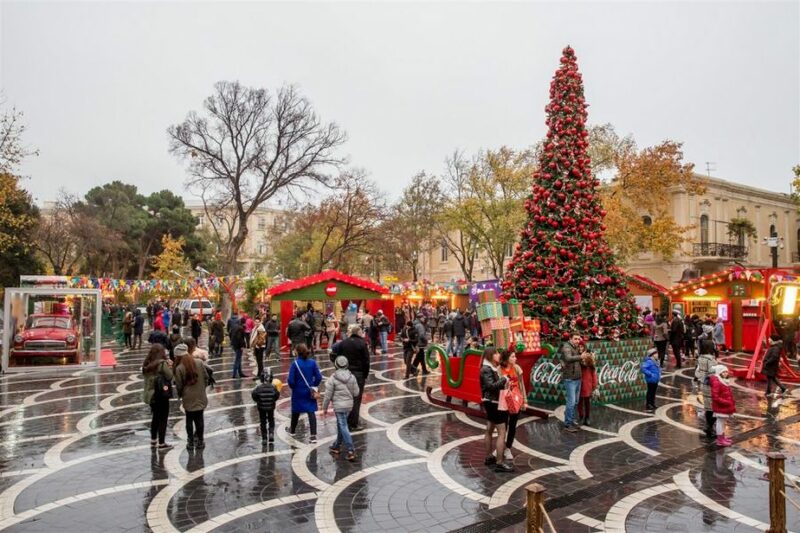 This year, Baku’s Christmas market is built in a Scandivanian style – 47 small wooden houses on the square sell books, sweets, hot chocolate, national foods and more. Read more about Christmas in Azerbaijan on Itinari! Don’t forget to book your Baku accommodation. Like in Russia, Georgia celebrates Christmas on the 7th January since the Georgian Orthodox Church uses the old Julian calendar for their festivals. However, people give and receive gifts on December 31st. 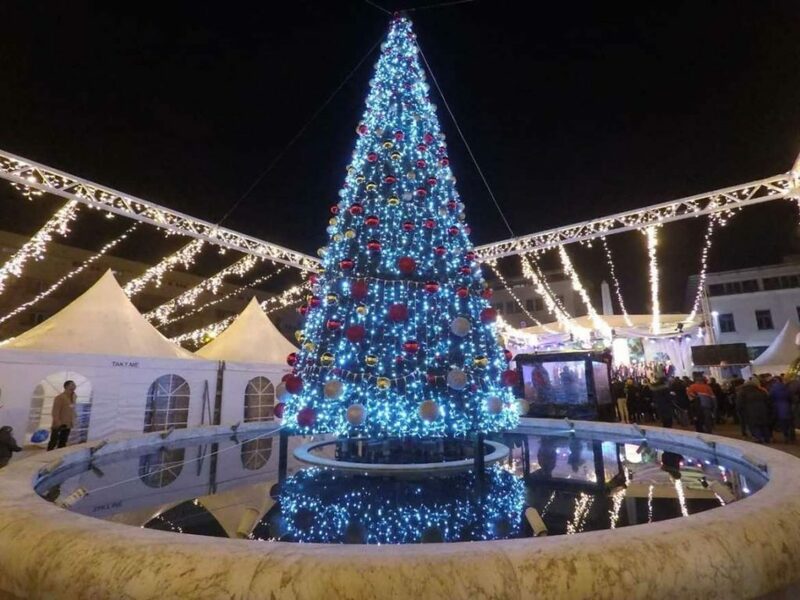 Batumi’s Christmas market in Europe Square will last until January 2nd. You will be able to buy Georgian handicrafts, sweets and souvenirs as well as amazing Georgian wine. Georgian food will also be on offer – make sure you try khinkali (Georgian dumplings), khachapuri (bread boat filled with cheese; in the Adjara region – where Batumi is located – the local type has an egg on top) and chaqapuli (a type of stew). You can also try the traditional Georgian sweet called ‘churchkhela‘, a sausage-shaped sweet made from walnuts and grape juice. 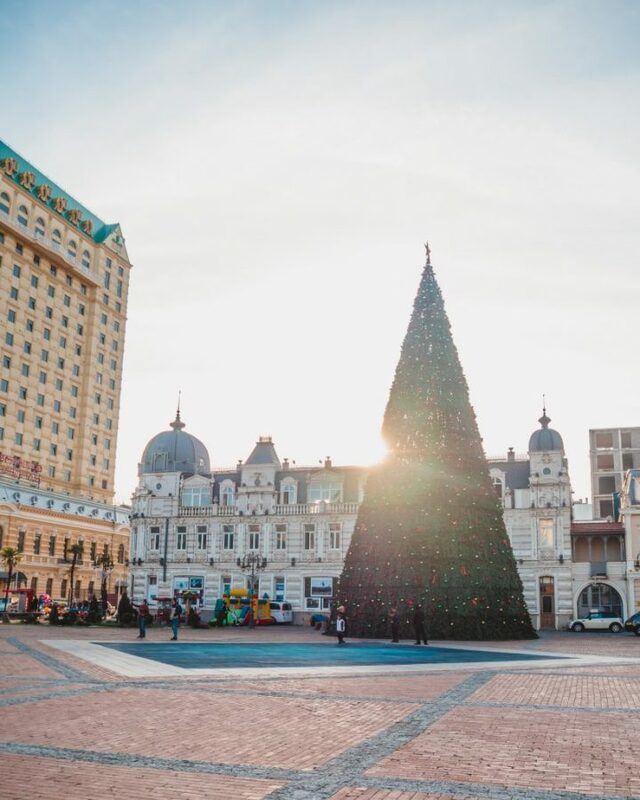 Read Tom’s blog post from when we went to Batumi last December for more information about the city! Find a hotel in Batumi. Kutaisi’s Christmas market will also be on until January 2nd and will offer Georgian souvenirs, local arts and crafts, regional and national food and drink as well as local wine. Don’t forget to book a hotel in Kutaisi! Tbilisi really goes all out on their Christmas lights and it looks spectacular. The Tbilisi Christmas market will continue until the 7th of January. The market in Deda Ena Park and New Tiflis offers local handicrafts, food, souvenirs and, of course, Georgian wine. You will also find mulled wine and chacha, the Georgian schnapps. Book your hotel in Tbilisi! 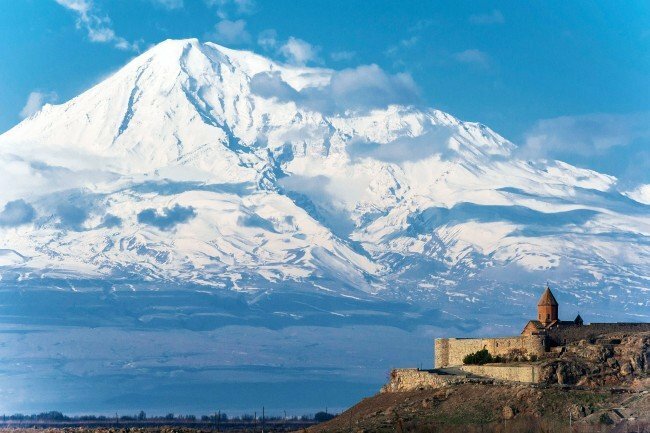 Also for a proper Georgian experience you have to do a wine tour – this full-day excursion from Tbilisi takes you to Kakheti, the wine capital of Georgia. 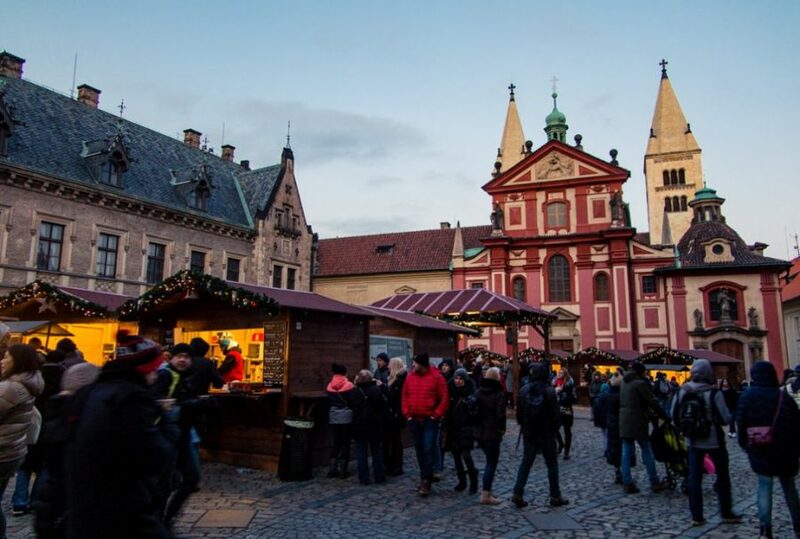 The Christmas market in Český Krumlov will run until the 6th January and offers Christmas-themed products and local delicacies. It is a traditional Czech Advent market and has Christmas concerts and a live nativity scene as well. Getting to Český Krumlov: Český Krumlov is a 3-hour train journey from Prague or around 2.5 hours by car. The closest airport is Linz Airport, around 1.5-2 hours away by car. Book your hotel in Český Krumlov now! The advent market in České Budějovice will also continue until the 6th January. 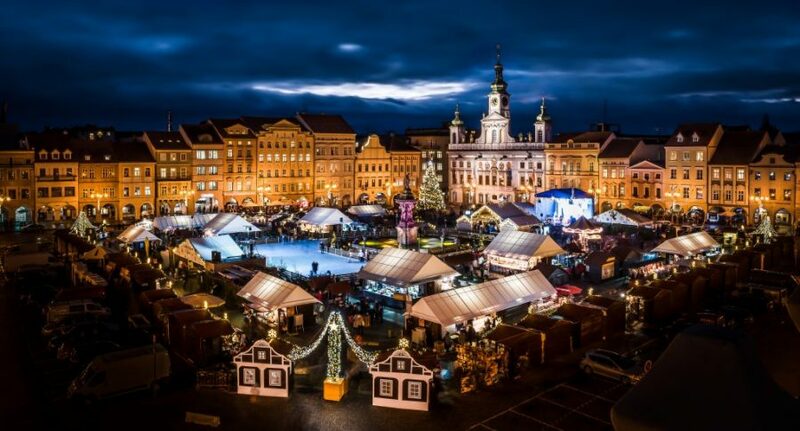 The square is filled with wooden stalls selling Czech food, Christmas products and handicrafts, such as advent wreaths, wooden toys, hand-blown glass, candles, decorations and more. Almonds, cheeses, koblížky (doughnuts), pancakes, waffles and sweets are on offer, as well as mulled wine, mead and local beers. There is also an ice rink and merry-go-round as well! The observation tower next to the ice rink has an observation deck where people can enjoy a festive treat with views over the market. Getting to České Budějovice: České Budějovice is 30-40 minutes by car from Český Krumlov or 30 minutes by bus. Prague is a 2h15 bus ride away or 2.5 hours by car. Find accommodation in České Budějovice on Booking.com! Prague’s Christmas markets also don’t end until the 6th of January. There are multiple Christmas markets (Vanocni trhy) in the city, from the main markets at the Old Town Square and Wenceslas Square, as well as smaller markets at Republic Square, Havel’s Market, Kampa Island and the square in front of St. George’s Basilica at Prague Castle. 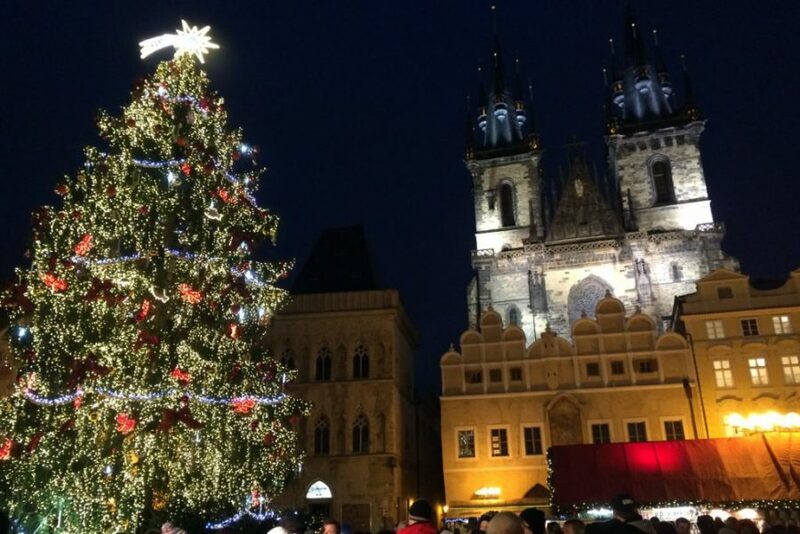 Visit Prague’s main Christmas markets on a tour with GetYourGuide – including mulled wine, Christmas snacks and lots of stories and information on Christmas traditions in the Czech Republic. Brightly coloured wooden huts sell local handicrafts and traditional Christmas treats, including large roasted hams (Pražská Šunka), tasty barbequed sausages (klobása), Hungarian flatbread topped with garlic, cheese and ketchup (langoš), pancakes (palačinky) and lots of sweets and cakes, such as spicy gingerbread and ‘Trdelník‘, a hot sugar-coated pastry. If you want a drink, enjoy local beer, honey wine (Medovina), mulled wine (svařák), hot chocolate (horká čokoláda) or try grog, a hot mixture of rum, water, lemon and sugar. The theme for the 2018 market is ‘fairy tales’ so huts include imagery of people and places that appear in the tales. The Observation Bridge is also illuminated like a magical path in a princess’ castle! Prague has so many hotel options for your stay! Sarajevo’s Christmas market is known as the ‘Holiday Market’ and local artisans sell handicrafts from more than 30 stalls. The market will continue until January 13th and a giant Christmas tree stands in the centre and the PAN Winter Pub offers drinks and snacks. There is also a Gastro Corner where you can buy drinks and food, and an amusement park with a carousel, train and rollercoaster. You can also find Santa Claus’ Village, a 400 square metre ice rink and even a Pony Ranch where children can visit ponies. Book a hotel in Sarajevo before you go. For the past three years, Zagreb’s Christmas market has been voted the best Christmas market in Europe. 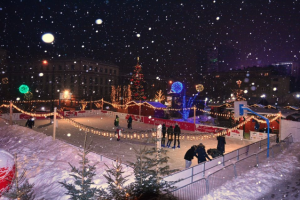 There are multiple markets throughout the city, including the iconic ice rink (“Ice Park”) at King Tomislav Square. Open until the 7th of January, the fee is 15 CZK before 4pm and 20 CZK from 4pm until 11pm. Skates cost 20 koruna to rent for the session. Advent on Zrinjevac (Nikola Šubić Zrinski Square) runs until the 6th of January and here market stalls sell traditional dishes, such as goulash, sour cabbage rolls and smoked leg of pork as well as sweet štrukli (baked dough with cottage cheese and other fillings) for dessert. Advent at European Square is a more modern affair – until the 6th of January you’ll find concerts and DJ sets happening each night and warm cocktails and hot toddies are on offer. 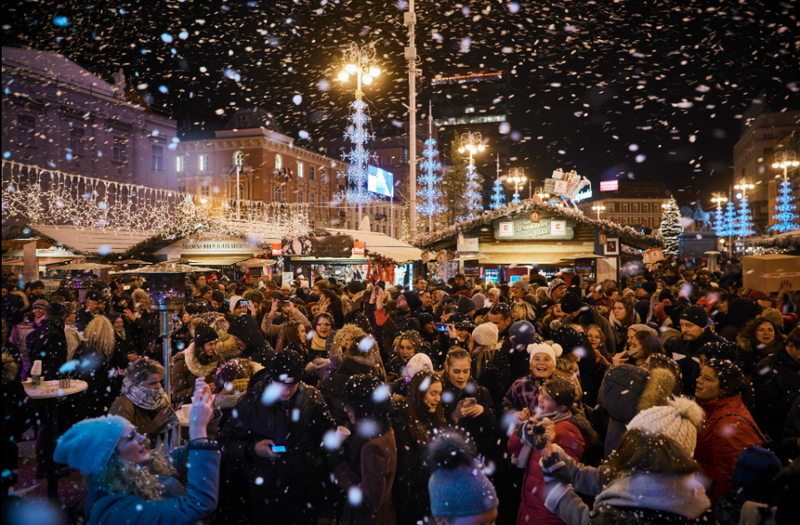 Zagreb Christmas Tale (located on Central Ban Jelačić Square) also goes on until the 6th of January – kiosks sell food and drinks (including mulled wine and hot sausages) throughout the day and live bands and DJs perform in the evenings. Grič Tunnel is home to a subterranean advent market with light installations until January 6th. The set design is ‘Winter Garden’, a magical world with a castle from a frozen fairytale. Strossmayer Parade has four different markets – The Tale from Grič – Advent on the Vranyczany Plateau (smooth jazz and gourmet food), Advent on Stross (small Christmas market considered one of the most romantic spots), Cafe de Matoš (souvenir shops, mulled wine and live music) and Advent at the Klovićevi Dvori (with amazing views over Zagreb Cathedral), but these will finish on January 1st. Advent on Tkalčićeva showcases traditional artisan goods and hosts workshops on traditional arts and crafts as well as having a music programme focusing on traditional sounds. This market runs until the 6th of January. Make sure to book your Zagreb hotel! Until the 3rd of January, Sibiu is host to “Targul de Craciun”. Sibiu City Council in partnership with Embassy of Austria hosts a festive market in Grand Square (Piata Mare) with a skating rink, amusement park and nativity scenes. The market is open from 10am until 10pm and winter landscape projections light up the buildings. Santa holds workshops for kids such as candle making, decoration making and Christmas biscuit making and there is also a Christmas train! Getting to Sibiu: Sibiu Airport is 10 minutes away by bus or car from the city. You can fly to Sibiu from a variety of cities such as Frankfurt, Dortmund, London (Luton), Brussels, Paris, Bucharest and Madrid. Sibiu has lots of great hotels to stay in during the market. 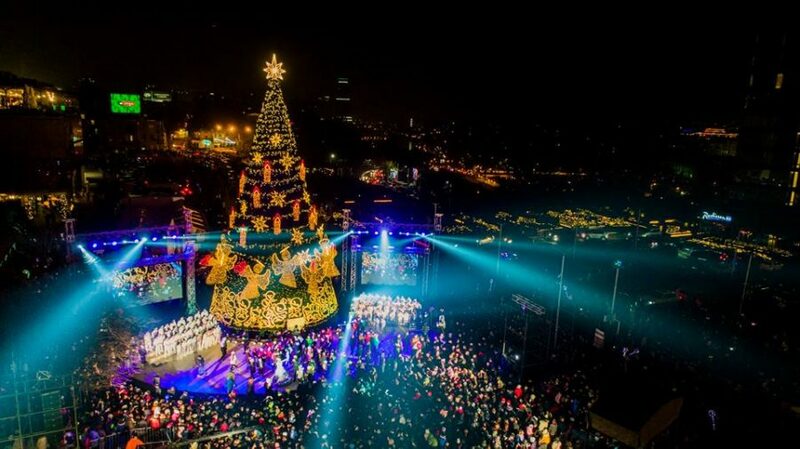 Skopje’s Christmas market will be running until the 13th of January. There are daily musical performances from Macedonian artists and in the evening a show with fireworks and acrobats will light up the area. Also on offer are beer, mulled wine, brandy, cookies, pastries, chocolates and German-style sausages. Book a hotel in Skopje! Podgorica’s first Christmas market was opened on December 20th when the lights at Independence Square were switched on. Until January 10th, wooden huts are a central holiday location selling local handicrafts as well as food and drink such as kobasice (sausages) and kuvano vino (mulled wine). Don’t forget to book a hotel in Podgorica. Warsaw’s only Christmas market that continues into the new year is the jarmark at Barbakan (Jarmark Bożonarodzeniowy na Barbakanie) that doesn’t end until January 6th. Christmas trees and wreaths are everywhere and make sure you treat yourself to mulled wine, honey wine (mead) as well as smoked cheese and a wide array of meats! Find deals on Warsaw hotels online. Don’t miss a wonderful festive Warsaw tour – see the best decorations around the city and visit the magical Royal Garden of Light. The Big Christmas Fair at Kuibyshev Street 45 (until the 6th of January) is great for finding unique gifts handmade by local artisans, as well as offering hot chocolate, Samovar tea or mulled wine to keep you in the Christmas spirit. 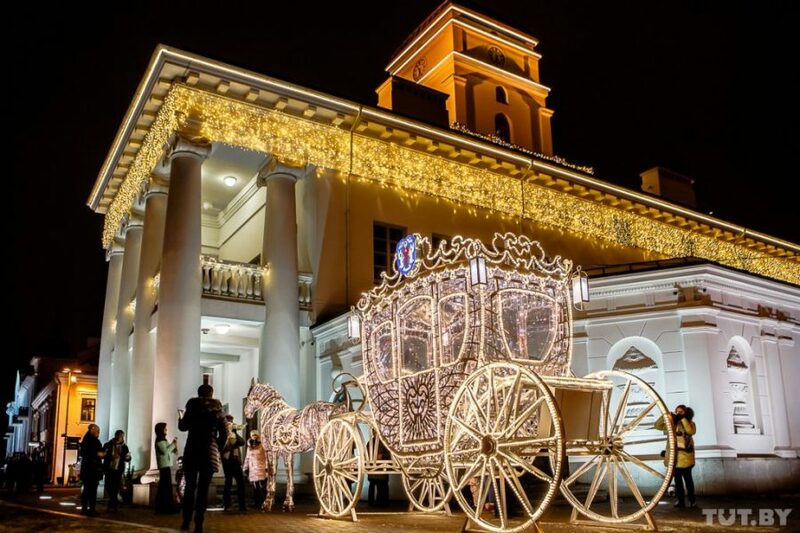 Until the 15th of January, a Christmas market will also be held at Kolyadny Kirmash, Palace of Sports. You will find a food court with hot drinks and mulled wine, the ‘most creative Christmas tree in the country’ according to news site Scarb.by and a Christmas Fair selling local delicacies and handicrafts. Plošča Niezaliežnasci will be a festive centre in Minsk with spectacular lighting, steaming soups, flat cakes with meat and vegetarian fillings, sausages, a pig roast and delicious desserts. Drinks on offer include punch, grog, mulled wine and brandy and there is even a Christmas tree bazaar and songs performed by Belarusian bands. I can’t find the dates for the celebrations in Plošča Niezaliežnasci so let me know in the comments if you know them! Don’t forget to book your hotel in Minsk. Running until January 7th, Tallinn’s market in Town Hall Square (Raekoja Plats) has an impressive tree decorated with heart-shaped ornaments. Santa with his reindeers distributes candy from his hut, there are carousels for children and local merchants offer Estonian Christmas cuisine, from black pudding and sour cabbage to gingerbread and hot Christmas drinks including mulled wine (glögi) as well as local handicrafts. This month Tallinn’s Christmas market was voted the best Christmas market in Europe by European Best Destinations. Book your hotel in Tallinn! 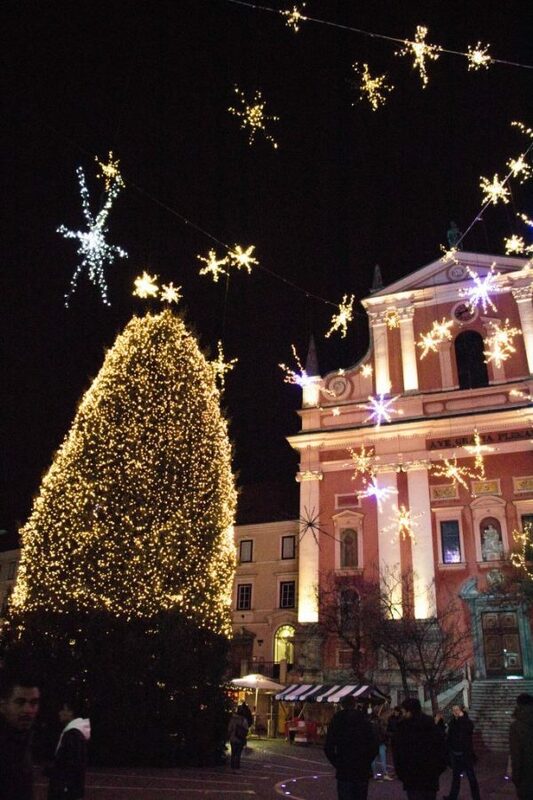 Also running until January 7th, Vilnius is home to two Christmas markets. Cathedral Square is the biggest market in the city with mulled wine, herbal teas and sugared almonds as well as handicrafts and Lithuanian souvenirs. Town Hall Square is home to a less busy Christmas market offering festive gifts and Lithuanian sweets and food, such as gingerbread, honey cake, homemade cheeses, sweets and pastries. The Vilnius Christmas Train goes around the centre of Vilnius and you can see the impressive Christmas tree in front of the cathedral on Katedros aikštė. Learn about Lithuanian Christmas traditions, explore the markets and make an amber amulet on this half-day tour in Vilnius! Book your hotel in Vilnius now! 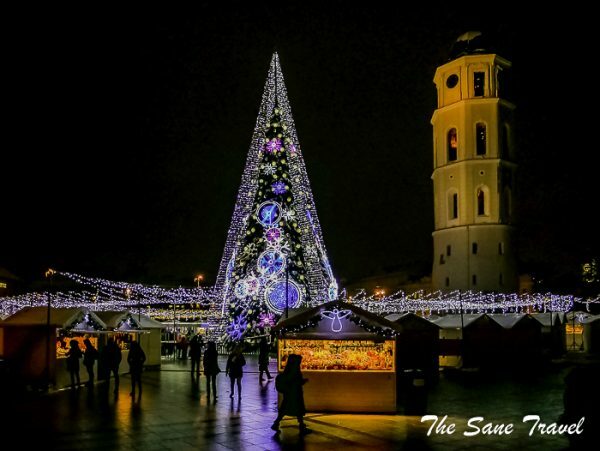 Kaunas’ Christmas market runs until the 6th January – Epiphany or Three Kings Day celebration, which marks the end of the festive season – in the Town Hall Square, where the city’s Christmas tree is also located. Enjoy hot tea and doughnuts or warm up with some karštas vynas (mulled wine). Getting to Kaunas: Vilnius is a 1.5-2 hour drive to Kaunas. The closest airport is Kaunas Airport, a 20-30 minute drive away or 45 minutes away by bus. Don’t forget to book your Kaunas hotel. Until the 6th of January Riga is home to three Christmas markets – two in the Old Town and one in Esplanade Park. The market at Doma Laukums (dome square) offers traditional treats such as mulled wine, gingerbread, roasted almonds, Christmas tea and coffee, as well as delicious smoked meats and meat products. The fair also offers a wide range of Latvian handicrafts – patterned mittens, skillfully turned wooden candlesticks, jarred sunny-smelling Latvian honey, sweet-smelling wax candles, hats and scarfs and amber jewellery. Want to explore a winter wonderland and meet some reindeer? This full-day excursion from Riga to Turaida Reserve is the perfect festive tour! The market at Līvu Laukums (Livu Square) is a more modern affair with a Christmas tree made out of wood illuminated by candlelight. Jewellery, ornaments, woodwork, ceramics and more are on offer at the red, brown and blue stalls. Try gingerbread cookies (piparkūkas) and mulled wine (karstvīns) or pīrāgi, little pastries filled with chopped pork and onions. The third market is at Esplanade Park and consists of two rows of wooden shacks, a Ferris wheel and a rabbit village with a rabbit church and rabbit houses! Mulled wine (karstvīns) and hot Black Balsams cocktails are on offer at this market, which is located right on the doorstep of Radisson Blu Latvija Conference & Spa Hotel. Book your hotel in Riga here. Moldova’s capital is host to a Christmas market until January 15th and located in front of the National Library and the National History Museum. Try some mulled wine or “izvar” in Moldovan/Romanian – almost every kiosk sells it (15 lei or 0,75 EUR). There are many food options such as cakes, Asian noodles and even Georgian cuisine. Traditional Moldovan food is apparently quite limited, but make sure to try placintas, a sort of cake with different fillings like cheese, potatoes, cabbage or cherries (15-20 lei or 0,75-1 EUR). Don’t forget to visit the cabin of Father Frost or Moș Crăciun in Moldovan/Romanian. The illuminated path with huge baubles and the little fairy-tale house look absolutely magical! Book your Chisinau hotel here. The Christmas market in Douai continues until the 6th of January on the Place d’Armes. In addition to the market, there is also an ice rink at Place Charles de Gaulle (€2 in the morning and €4 in the afternoon), a toboggan run and even an 80m long zipline!. There are 23 different types of performances (circus, magic, puppetry, burlesque etc), 7 concerts by local and regional groups, 3 movie evenings and 10 workshops with 40 different sessions – all of these events are also free! Chalets will be offering food and drink such as crêpes, cider, mulled wine (vin chaud), hot chocolate (chocolat chaud), waffles (gaufres) and more. Getting to Douai: Lille is the nearest big city to Douai and is around half an hour away by car or 30-40 minutes by train. Find your Douai hotel here or stay in Lille instead. The 62 chalet market at Place du Martroi offers lots of delicious local produce, handicrafts and fair trade products. There is also an ice rink at the Christmas market. This Marché de Noël is open until the 6th of January. Getting to Orléans: The city is about 1.5 hours south of Paris by car or 1h away by train (InterCity). Find a hotel in Orléans. The Christmas market in Perpignan will also continue until January 6th. Place de la Victoire has a ferris wheel (€5), ice rink (€5) and chalets offering gourmet goods. Place François Arago is home to a Christmas carousel (€2) and Place de Catalogne is a ‘village of Christmas rides’ and each ride is also €2. Quai Sébastien Vauban is home to the main Christmas market with wooden chalets where local tradesmen offer handmade arts and crafts and you can also buy some mulled wine or gingerbread. Getting to Perpignan: Perpignan is a 1-hour drive from Girona, Spain or 50 minutes from Narbonne. It is also reachable by train from Narbonne in 45 minutes. Find a hotel in Perpignan or Narbonne. The Christmas market in Avignon did not happen this year but the activities for children and the light installations in the city continue until the 6th of January. 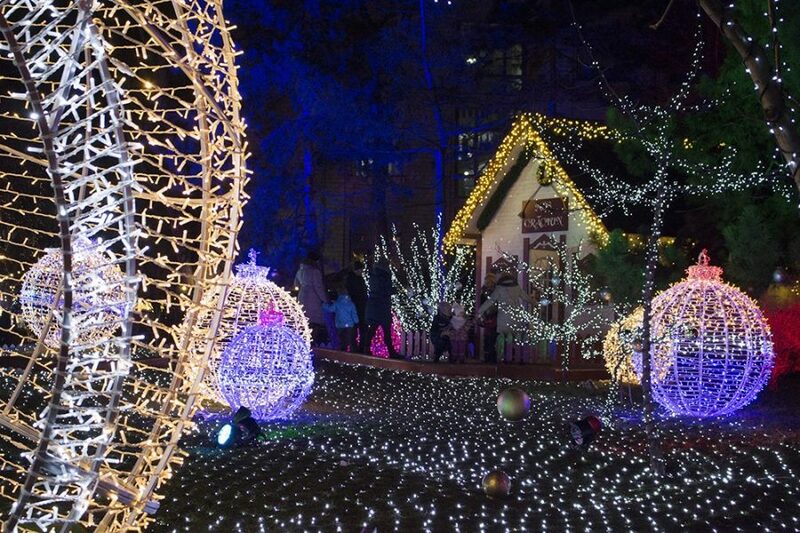 Place Saint-Didier is home to the ‘fairy landscape’ of lights. You can find the ‘Village of Elves’ (children’s games and rides) at Place Saint-Jean le Vieux (3 €). Place de l’Horloge houses the 250 m² ice rink (€3), including 50 m² entirely reserved for children under six years. Getting to Avignon: Avignon is located 1 hour by car or train from Montpellier and 1h10 by car and 40 minutes by train from Marseille. Don’t forget to book your stay in Avignon. 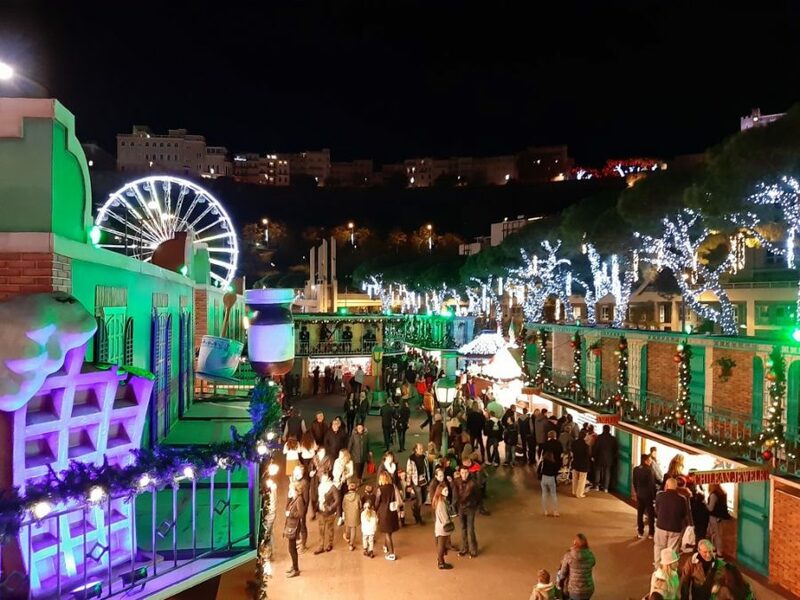 Until the 6th of January, the town of Saint-Raphaël on the Cote-d’Azur is home to a Christmas market with 26 white chalets (Promenade de Tassigny) along with a Ferris wheel (Esplanade Delayen), an ‘ice road’ (at Place Coullet), a 14m-high fir tree (Esplanade Victor Hugo) and a festival of lights (Jardin Bonaparte). Getting to Saint-Raphaël: Cannes is a 40-minute drive away or 20 minutes by train while Nice is 50 minutes by car or train. Read more on the official website (French only). Book your hotel in Saint-Raphaël or nearby Cannes! ‘Christmas in the heart of the Alps’ is how the Christmas markets in Annecy are described. 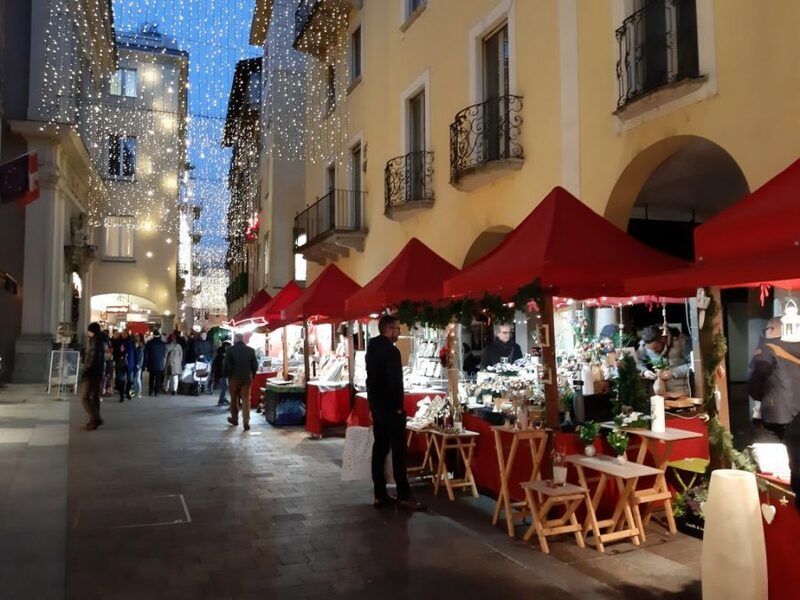 Running until the 6th of January the ‘Old Annecy’ market is located right in front of the town hall (Hôtel-de-Ville) and 80+ chalets offer a variety of goods, including local and regional delicacies (tartiflette, cheese, gingerbread, nougat) as well as hot wines. The market spreads around the churches of St. Maurice and St. François de Sales (place Saint-François de Sales, quai du Semnoz, rue Saint-Maurice and quai Eustache Chappuis). On a little square bordering the St. Maurice church are white chalets which form the ‘artisans’ village’. The ‘artisans village’ runs until the 29th January and the second market (Alpine Village) is located next to the Courier Mall (Parvis du Centre Commercial Courier) and runs until the 6th. The Alpine Village offers local produce and also is home to the open-air ice rink (€5). Getting to Annecy: Annecy is located 40 minutes away by car from Geneva, Switzerland or can be reached in 50 minutes by bus. The closest airport is Chambery, 35 minutes away by car. Don’t forget to book your hotel in Annecy! La Forêt Enchantée is a magical forest with characters from tales and legends of Sundgau and elsewhere. 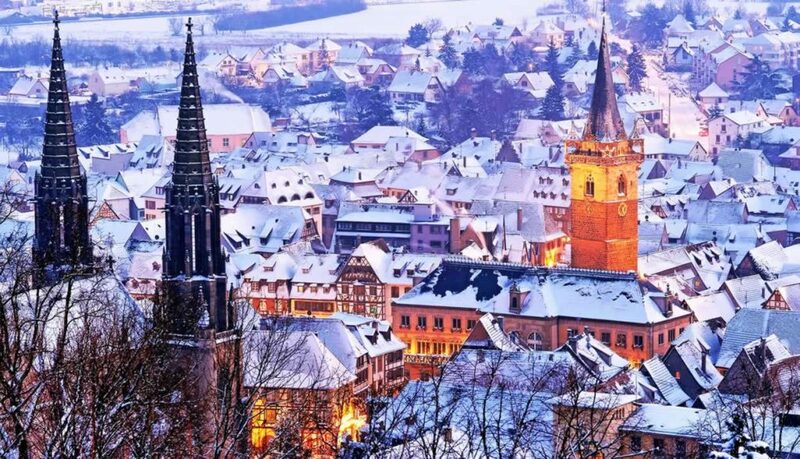 A village of artisans, arts and crafts Christmas market and an ice rink are on offer in the small town of Altkirch in Sundgau, in south Alsace. The market is open until January 6th. Getting to Altkirch: Altkirch is a 40-minute drive from the Swiss city of Basel or is a 17-minute train journey to the city of Mulhouse. The closest airport is the EuroAirport Basel-Mulhouse-Freiburg which is half an hour away by car. Book your hotel in Altkirch or Mulhouse. Until the 2nd of January, Obernai hosts a Christmas market with local and regional products on offer. Come and try some of the local Obernai mulled wine (white mulled wine) in the romantic Alsatian town and also don’t miss the famous “bredeles”, delicious small Alsatian biscuits! Getting to Obernai: Obernai is a 25-minute drive from Strasbourg or a 40-minute train journey. 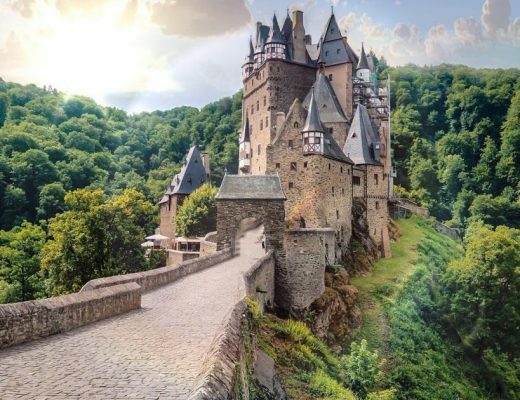 Don’t forget to book a hotel in Obernai or Strasbourg! Until the 6th of January, the city of Saverne is transformed into a mountain resort with a Christmas village. Cabins on the Place du General de Gaulle offer local delicacies and handicrafts and there is also an ice rink and festival of lights. Getting to Saverne: Saverne is located a 40-minute drive away from Strasbourg or can be reached by train in 25 minutes. Book your hotel in Saverne or in Strasbourg! “Une Célébration Mickeyfique” – Disneyland Paris hosts an enchanted Disney Christmas until the 6th of January. Disney Village is where you can find entertainment, a traditional Christmas Market and a Christmas themed dinner show. Book your ticket for Disneyland Paris including transfers from central Paris! Don’t forget to book accommodation! Haguenau in northern Alsace is home to a cosy Christmas market until the 6th of January. A market of more than 40 small wooden chalets offers Christmas goods, handicrafts and food and drink. The market will take place in the Place de la République, Place d’Armes, Place Joseph Thierry, Grand-Rue and Cours de la Décampole. Getting to Haguenau: Reach Haguenau in 35 minutes by train or half an hour by car from Strasbourg. Baden-Baden in Germany is a 40-minute car journey away. Book your hotel in Haguenau or in Strasbourg! “Magie de Noël” at the Jardin des Tuileries is brand new for 2018 and continues on into the new year until January 6th. 120 wooden chalets offer French produce, from handicrafts to confectionary and local delicacies. There are also fairground rides such as a ghost train, a maze and a 50m-high Ferris wheel to look over the capital. This market is also home to a 1,200 square metre ice rink as well as a gourmet market with 20 cabins representing 20 regions in France. Read more over on Sortira Paris! Don’t forget to book a hotel in Paris! Nope, not a hotel. The capital’s Hôtel de Ville (city hall) hosts a beautiful Christmas market with an illuminated forest, a merry-go-round with wooden horses and also a miniature train. Parisian artisanal products are on offer, including mulled wine, crêpes, waffles and more. This market is also on until the 6th of January. Fifty white chalets are dotted around the Centre Georges Pompidou in Beaubourg, keeping the festive season alive until the 2nd of January. There is also a carousel and a miniature train for children. See the beautiful Christmas lights of Paris on this 1.5-hour bus tour of the city! Monaco’s Christmas market continues until the 6th of January. Visit this tiny country to visit the German-style Christmas market with chalets at the ‘Christmas Village’ (Quai Albert 1er) offering handicrafts and regional specialities. Churros dusted with sugar and drizzled with chocolate sauce are a popular treat! If you fancy something savoury, try Tartiflette, mashed potatoes and bacon topped with melted cheese. Stade Nautique Rainier III also transforms into a giant 1000m2 ice skating rink (open until 3rd March). The Monte-Carlo Cacin0 also has spectacular decoration displays! Getting to Monaco: Monaco is a half hour train journey from Nice or 25-30 minutes by car. The closest airport is Nice Côte d’Azur. Book your Monaco-Monte Carlo hotel or one in nearby Nice! 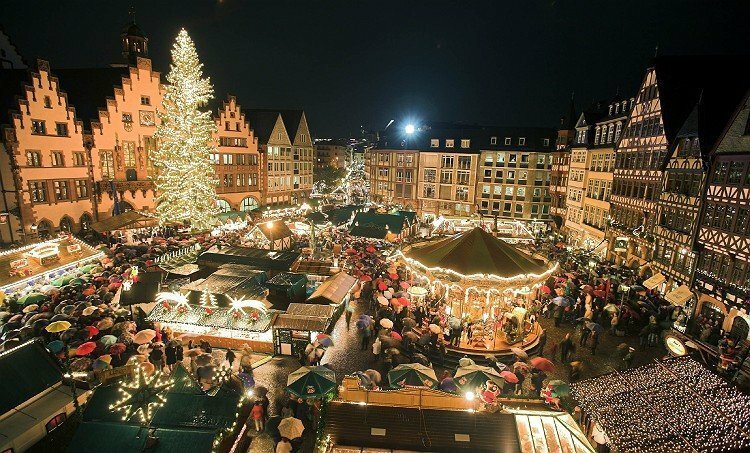 The Christmas market (Weihnachtsmarkt) at Potsdamer Platz is known as ‘Winter World’ and will run until the 6th of January. An Austrian-style market with log cabins and an arts and crafts market, you can sample food such as candied apples, roasted almonds and Glühwein. There is also a large toboggan and a 500 square metre open-air ice rink. More than 100 wooden huts surround Kaiser Wilhelm Gedächtniskirche in Charlottenburg. Munch on traditional German fare such as Germknödel, Schmalzkuchen, grilled sausages and steaks or try mulled wine (Glühwein) in different flavours, egg punch or a hot chocolate. The Breitscheidplatz Christmas market ends 6th of January. Don’t forget to book your Berlin hotel! Rust is home to the Winter Wonderland at Europa-Park until the 6th January. 2,500 decorated fir trees dot Germany’s largest theme park. There is even a ski school! Browse quaint wooden stalls filled with seasonal gifts, crafts, and decorations, and don’t forget to try the German food that’s on offer. 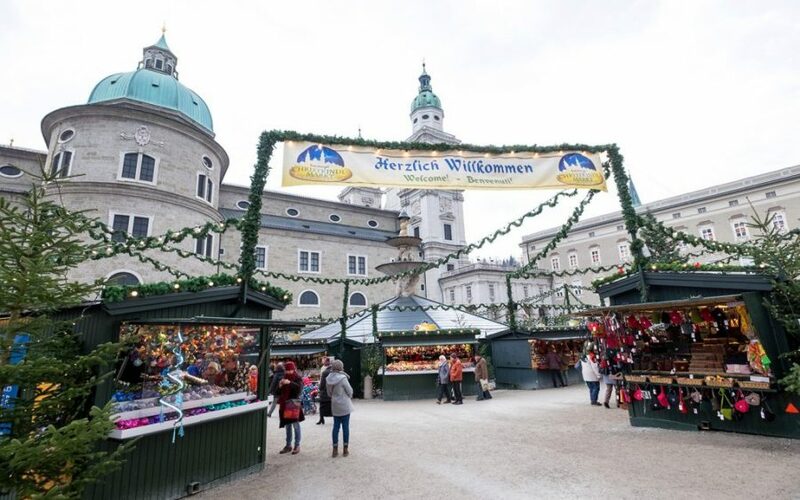 Head to Balthasar Castle Park for the Medieval Christkindl market where chalets evoke a world of lords, ladies and knights. Getting to Rust: Rust is a 40-minute bus journey or 30-minute drive from Freiburg or 45 minutes by car from Strasbourg. Don’t forget to book your hotel in Rust or nearby Freiburg! Did you know that the first public Christmas tree in Germany was erected in Weimar in 1815? The Weimar Christmas market also offers ice skating on Theaterplatz around the Goethe and Schiller Monument. Don’t forget to try some Stollen and Thuringian sausages! The market ends on January 5th. Read more in Ready Set Jetset’s article. Getting to Weimar: Weimar is 1.5 hours from Leipzig, 15 minutes by train from Erfurt or 18 minutes by train from the university town of Jena. Book your hotel in Weimar. Athens’ Santa Claus Kingdom is open until January 4th and is located at the largest theme park in the city. There is a Christmas shopping area, festive food and the big event – The True Santa Claus from Rovaniemi, Finland. There are many rides throughout the park, including a roller coaster, carousel, a laser tag arena and a play park with 10 inflatable games. You will also find the largest ice rink in Athens here. Find out more on the official website (Greek only). Running until the 6th of January, the Christmas Factory in Athens is located at Technopolis in Gazi. There is a sweet and toy factory, Ferris wheel and carousel rides as well as an ice-skating rink and a Magic School. Find out more on the Greek Guide. Don’t forget to book your hotel in Athens! 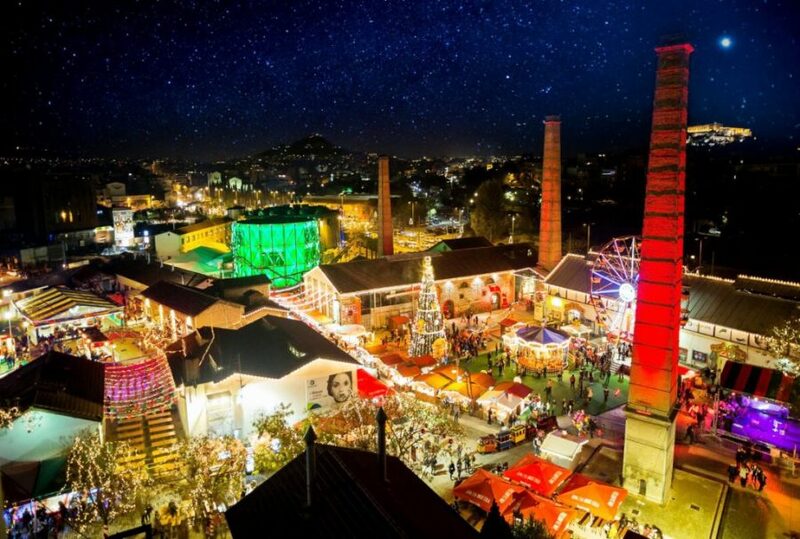 Running until the 6th of January (closed on the 2nd), Arco’s Christmas market offers delicious local specialities and a light show where a story is told in lights projected onto the wall of a building. Getting to Arco: Arco is around 40 minutes from the city of Trento or 1 hour by bus from Rovereto. Verona is 2 hours away by public transport and Venice is a 3-hour drive away. Book your hotel in Arco here! Piazza Fiera square and Piazza Cesare Battisti square are home to the two Christmas markets in Trento, where wooden huts offer local crafts and Trentino delicacies. The market will be open until January 6th. Getting to Trento: Trento is around 40 minutes to an hour from the city of Bolzano. Verona can be reached in 1-1.5 hours by car and train and Verona Airport is 1h20 by car. Head here to book your Trento hotel! Fonzaso’s Christmas market continues until the 6th of January. Getting to Fonzaso: The small city of Bassano del Grappa is a 35-minute drive from Fonzaso and Trento is a 1-hour drive away. Book a hotel in Fonzaso or in Bassano del Grappa. The markets in Carli Square and Risorgimento II Square will continue until January 6th. With its wooden houses, lights, decorations, festive flavours and some snowflakes, Asiago’s Christmas market brings Christmas magic and a festive atmosphere. Stalls offer various wares, from Christmas ornaments made of glass, wood and ceramic to sweet pastries and mulled wine. Getting to Asiago: Asiago is a 1-hour drive from the city of Trento. Don’t forget to book your Asiago hotel. The market in Gallio will end on the 6th of January. At the oldest market in the Asiago region, you can taste typical products of the region, buy gifts like scented candles, colourful decorations, toys and handicrafts, all while sipping a glass of hot chocolate or mulled wine. The Santa Claus village in Piazzetta Gardens welcomes people into the magical world of the North Pole, with creative workshops, pony rides and different performance. Getting to Gallio: Only 8 minutes by car from the small town of Asiago, Gallio is just over an hour from the city of Trento. Book your hotel in Gallio, Asiago! Rovereto hosts a Christmas Market known as ‘Natale dei Popoli’ (Christmas of peoples) and it will be open until January 6th. More than 50 stalls offering goods from different cultures and Piazza Rosmini (town square), the town centre and the main roads will be decorated in the style of German Christmas Markets but with an Oriental flair. Getting to Rovereto: Rovereto is 12 minutes away from Trento by train or 25-35 minutes by car. Book your hotel in beautiful Rovereto here! The Christmas market in Pergine Valsugana celebrates the legends of gnomes and elves, who, according to the tradition, used to be seen giving presents and Christmas sweets during the Advent period. The market has performances as well as food and wine tastings in the city centre. There are also handicraft workshops and events for children and adults as well as a dedicated section to the not-for-profit organizations. The market ends on January 6th. Getting to Pergine Valsugana: Pergine Valsugana to Trento is around 15-20 minutes by car 15-25 minutes by bus. Don’t forget to book your hotel in Pergine Valsugana! 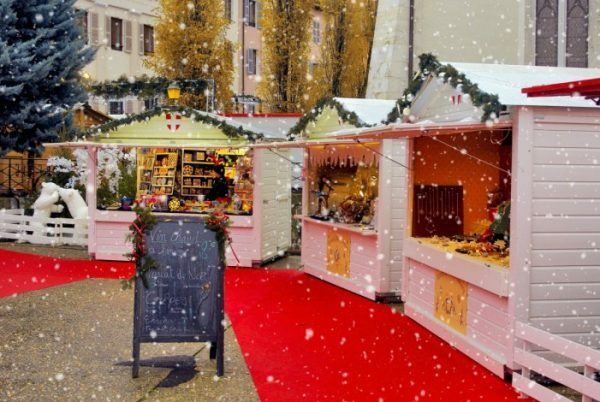 The historic Habsburg Park of Levico Terme hosts the Christmas market, where you’ll find 60 wooden market booths, which offer handicrafts and culinary delicacies including typical Trentino dishes, like polenta and local cheeses. There is also mulled wine and Parampampoli (flaming grappa – a typical drink of Trentino, made of coffee, schnapps, wine, sugar and honey). The market continues until January 6th. Getting to Levico Terme: Levico Terme is a 45-minute train journey from Trento or 25-30 minutes by car. Book your Levico Terme hotel soon! Cavalese in Val di Fiemme hosts a Christmas market with wooden huts selling products from wool slippers to caramelised sweets and delicious cheeses. Don’t miss local speck and salami, local Fiemme beer, sweets, chocolates, and all sorts of local traditional food and drink from hot chocolate to mulled wine, waffles to orzo soup. The market ends on January 6th. Getting to Cavalese: Cavalese is a 1-hour drive from Trento or 1.5 hours by bus. Cavalese is also a 1-hour drive from Bolzano in South Tyrol. Don’t forget to book your Cavalese hotel! The market is located in a public garden near the castle walls until the 6th of January. A unique Christmas atmosphere where the mighty city walls embrace the traditional wooden houses of the market. Getting to Castelfranco Veneto: Castelfranco Veneto is a 30-minute drive from Treviso or a 50-minute drive to Venice. You can also travel by train from Venice to Castelfranco Veneto in 1 hour. The closest airports are Venice Treviso (30-40 minutes by car) or Venice Marco Polo (50-60 minutes by car or just over 1 hour by public transport). Book your hotel in beautiful Castelfranco Veneto! Padua’s Christmas market continues until the 6th of January with market stalls at Piazza Eremitani, or “Santa Klaus Village”. 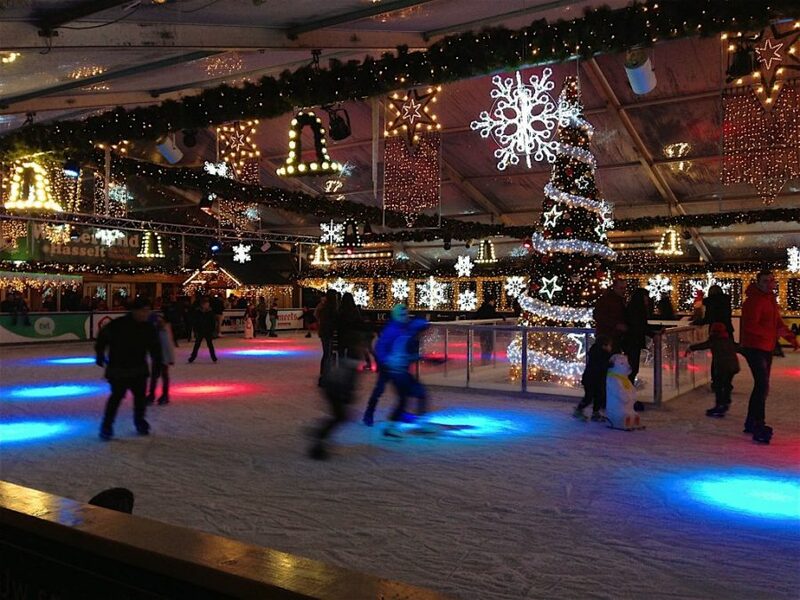 There is also a skating rink and a carousel and the 15 wooden huts offer food, hot chocolate, mulled wine and more. Getting to Padua: Venice to Padua (Padova) takes around half an hour by train or 40 minutes to 1 hour by car. Book your hotel in Padua. 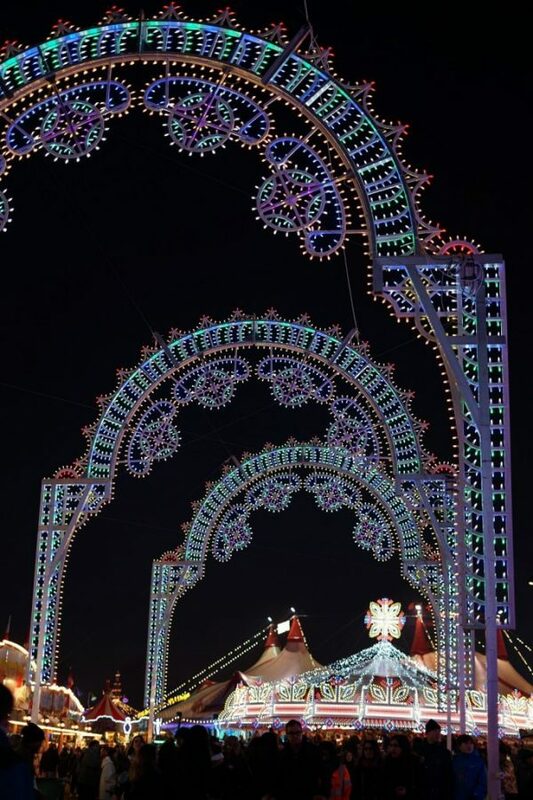 Jesolo Christmas Village is open until the 13th of January. Piazza Aurora, via Trentin and Piazza Mazzini are the heart of this special event with 70 white wooden huts where traditional artisanal products, decorations, sweets and all kind of delicacies can be found. The Christmas Tree illuminates Piazza Mazzini, with an ice skating rink and Santa Claus’ House. New for 2018 is the Christmas Slide at Piazza Aurora. Getting to Jesolo: The seaside resort town of Jesolo is 40-50 minutes from Venice by car or 1 hour by bus. Book your Jesolo hotel soon! Alternatively, book a hotel in Lido di Jesolo (8-minute bus away). The Christmas market in Mestre continues until January 6th on the Piazza Ferretto where you can buy Christmas products, handmade children’s toys and more. Getting to Mestre: Mestre is only 15 minutes by train or car from Venice. Treviso Airport can be reached in 30 minutes by car or 1 hour by bus and Venice Marco Polo is only 30 minutes by bus or 15 minutes by car. Book your hotel in Mestre online! Caorle’s Christmas market will run until the 6th of January. Located in the town centre the market will have 15 stalls as well as ice statues, Santa’s Grotto and an ice rink at Piazza San Giovanni XXIII. Getting to Caorle: Caorle is around a 1h10 drive from Treviso or 1h20 from Venice. By bus and train, it takes around 2 hours from both Treviso and Venice. Book a hotel in Caorle. Treviso’s Christmas markets continue until the 7th of January. There will also be exhibitions, tastings, concerts and entertainment in the entire historical centre. Getting to Treviso: Venice Treviso Airport is 10-15 minutes by car. Venice is around 40 minutes – 1 hour away by car or 35-45 minutes by train. Book your Treviso hotel here. 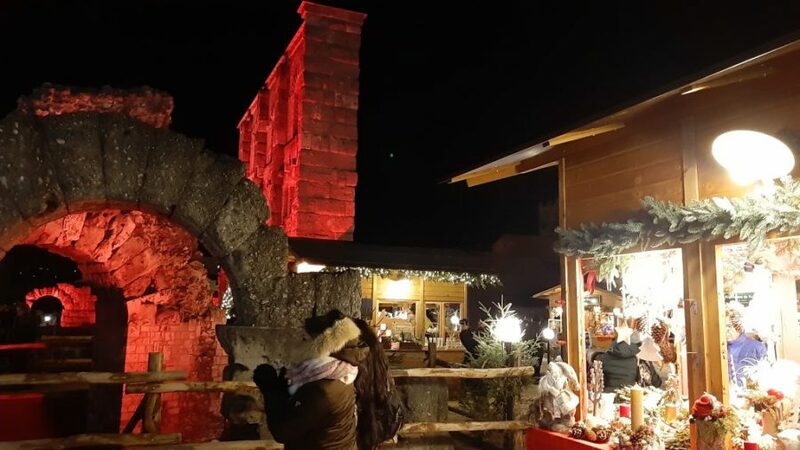 The beautiful Christmas village in Bussolengo continues until the 6th of January. Visitors can find Christmas decorations and ornaments for sale and there is a whole section dedicated to handicrafts where artisans decorate and engrave glass, wood and porcelain. Getting to Bussolengo: Bussolengo is 30 minutes from Verona by bus or 20-30 minute by car. Don’t forget to book a hotel in Bussolengo or in nearby Verona! The Christmas market and ice rink in Bardolino on the banks of Lake Garda will remain open until the 6th of January. Getting to Bardolino: Verona to Bardolino is 1 hour by bus or 50 minutes by train and bus. By car you can reach Bardolino from Verona in 35-45 minutes. Don’t forget to book your Bardolino hotel! Lazise celebrates Christmas at the central Piazza Vittorio Emanuele and on the Marconi lakeside. More than 100 exhibitors will be at this market until January 6th offering local arts and crafts and regional delicacies. Getting to Lazise: Lazise is 30-40 minutes from Verona by car or 50 minutes by bus. Stay at a hotel in Lazise. The town of Garda celebrates the Christmas season with the event “Natale tra gli Olivi“ (Christmas among Olive Trees) and the lakefront is dotted with typical little wood huts where you can buy local goods. Running until the 6th of January. Getting to Garda: Garda is around 45 minutes from Verona by car or just over 1 hour by public transport. Don’t forget to book a hotel in beautiful Garda. “Natale a Malcesine” is the official name of the Christmas festival in this beautiful town. The traditional Christmas market offers various local products and there are activities for all the family until the 6th of January. Getting to Malcesine: Malcesine is about 1.5 hours by car from Verona or 1 hour from Trento. Rovereto is around 1-1.5 hours away by bus. Book your hotel in Malcesine! The Christmas market at Piazza Navona is one of the most famous markets in Rome. 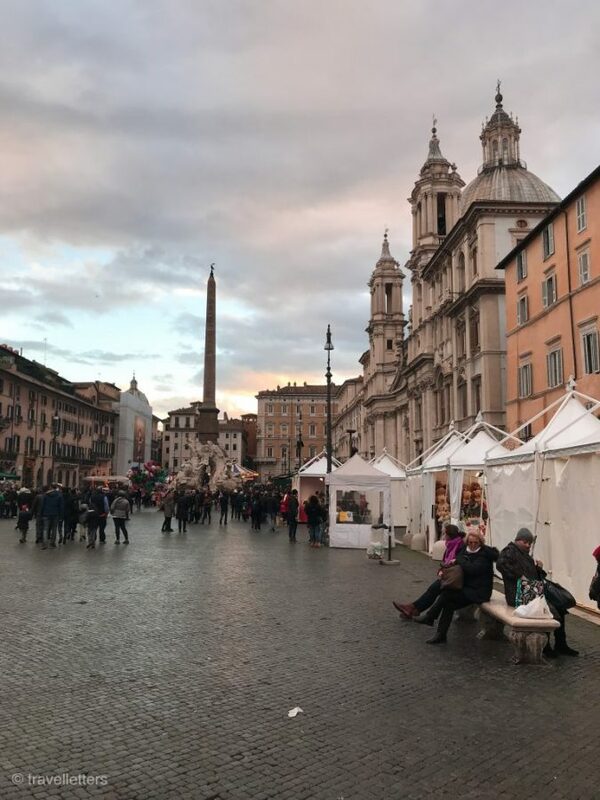 Amusement rides, local merchants selling toys and sweets and street musicians are all in front of Bernini’s Fountain of the Four Rivers and the church Saint Agnes in Agone until January 6th. Explore festive Rome and the Vatican City on this 3-hour walking tour of the top Christmas sights! The Christmas market at the Auditorium in Rome offers fair trade products and products from local artists. There is also an ice rink and a bar, as well as more food stands and shops inside the gallery. Don’t forget to book your hotel in Rome! 80 exhibitors fill Bolzano’s Christmas market until the 6th of January – various market stalls offer mulled wine, apple fritters and Strudel. There is also a miniature train, a merry-go-round, a puppet theatre and even a horse-drawn carriage through the streets of the city. Getting to Bolzano: The closest airports are Verona Airport to the south and Innsbruck Airport (Austria) to the north, both around 1.5-2 hours away by car. Verona is easier by public transport – 1.5 hours by train and a 15-minute bus to the airport from Verona Central. Book your hotel in Bolzano here! Merano in South Tyrol hosts a Christmas market until the 6th of January. The market covers both banks of the river with huts offering food, drink and local goods. There is an ice rink at Piazza Terme and there are also some Christmas concerts. Getting to Merano: Merano is around 30-40 minutes from Bolzano, which you have to go via to get to either Innsbruck or Verona. Don’t forget to book your hotel in Merano. Sample some delicious mulled wine and local specialities at Bressanone’s Christmas market until January 6th. Watch the Christmas fairy tale played out projected on the cathedral. The spectacular light- and music show “Soliman’s Dream” will be demonstrated in the impressive courtyard of the Bishop’s Palace/Hofburg. Getting to Bressanone: Bressanone is a 1-hour drive from Bolzano and around 1-1.5 hours from Innsbruck Airport. Remember to book a hotel in Bressanone! The Vipiteno (Sterzing) Christmas market is considered one of the most impressive markets in the alpine area. Located in the main square, you will find around 40 different market stalls with Christmas goods, local products and more. Enjoy a cup of mulled wine, sample some apple strudel or try a local herb liquor. Ends 6th of January. Getting to Sterzing: Sterzing is 50 minutes – 1 hour from Bolzano by car or 1 hour by train. Innsbruck Airport is 45-60 minutes away by car. Don’t forget to book your Vipiteno hotel before you go. Ending on the 6th of January, “Nadel da mont” (Mountain Christmas) in Selva Val Gardena/Wolkenstein in the heart of the Dolomites is home to 13 wooden cabins offering local products. There is also a snow sculpture competition and exhibition. Getting to Wolkenstein: Located around 1.5-2 hours from Innsbruck Airport and 2.5 hours from Verona Airport, Wolkenstein or Selva Val Gardena is around 1 hour from Bolzano. Book your hotel in Selva Val Gardena/Wolkenstein! Ortisei (also known as Urtijëi) is transformed into a Christmas village with regional products on sale from wooden stalls in the market and local delicacies on offer. The market will run until January 6th. Getting to Ortisei: Ortisei is a 50-minute drive from Bolzano. The closest airport is Innsbruck (1.5-2 hours by car). Make sure to book a hotel in Ortisei! The market is located in the city centre of Brunico and is open until the 6th of January. Stands offer arts and crafts, sweet treats and handmade gifts as well as culinary delights. The market also has concerts and an ice rink. Getting to Bruneck: Bruneck is also around 1.5-2 hours from Innsbruck Airport. Bolzano is around 1-1.5 hours away by car or 1.5 hours away by train. Book your hotel in Brunico here! Until January 6th the Roman Theatre of Aosta will be turned into an alpine village. Try delicious local specialities and wines or shop for wooden handicrafts, candles, handmade soaps and much more from 51 chalets. Getting to Aosta: Aosta is around 1.5-2 hours from Geneva, Switzerland and the same journey time from Turin. Turin is 2 hours away by train. Book a hotel in Aosta here. The Christmas market outside the cathedral offers typical delicacies coming from Italian regions (mainly in the Alpi mountains areas and Southern Italy) as well as local arts and crafts and Christmas decorations and gifts. Ends on the 6th January. Don’t forget to book your Milan hotel soon! Until the 6th of January, Il Centro shopping centre will host wooden stalls displaying a selection of traditional Christmas delicacies, small handicrafts and festive decorations. Giardini Pubblici Indro Montanelli is where you will find this market offering sweet delicacies such as sugar pancakes, cotton candies and churros with dulce de leche spread. It also has various entertainment activities on offer for families. Ends on January 6th. The Darsena Christmas Village has a Christmas market with wooden huts selling traditional delicacies and handicrafts and also is home to a beautiful floating ice-skating rink, Santa’s House and themed entertainment until January 6th. This Christmas fair offers unique, ethical and sustainable gift ideas, coming from all over Italy and the rest of the world. Produce grown on land confiscated from the mafia and products made in prison, as well as organic produce from Italian social cooperatives and slow food praesidiums. Bread, fruit, cured meats and cheeses to pasta, oil and wine, biscuits, sweets, panettone, torroni, coffee, chocolate and spices from around the world. You can also find t-shirts made in prison, ceramics, clothes, bags, jewellery and natural and fair trade cosmetics. The market will continue until the 6th of January. Find out more on the official website (Italian only)! 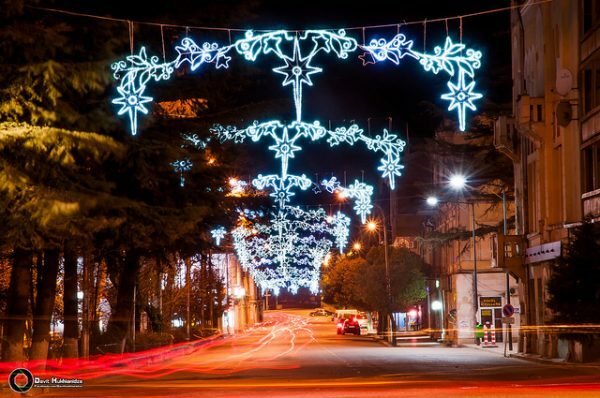 San Marino’s ‘Christmas of Wonders’ continues until the 6th of January. 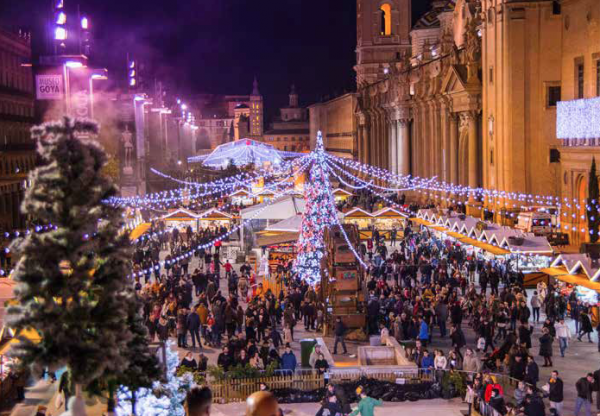 Piazza della Libertà is transformed into a forest of trees covered with projections of flying snowflakes and Cava dei Balestrieri hosts the ice rink, which even has a light show projected onto the ice. Various stands sell local delicacies and crafts. Getting to San Marino: San Marino is a 2-hour drive from Bologna or 3 hours by car from Florence. Book your hotel in San Marino. Christian Orthodox Christmas is not celebrated until the 7th of January (25th December in the Julian calendar) – Russia is home to 39% of the world’s Orthodox Christians and it’s the country where people get to enjoy the most days off for Christmas! January temperatures range from -5 to -10 degrees Celsius in Moscow and a few degrees warmer in St Petersburg on average to down to -20 in Irkutsk and -45 (!!!) in Yakutsk. No wonder Christmas is a magically festive season in Russia – it’s the best way to get through the cold weather! One city that I am dying to go to at Christmas is beautiful Moscow – Russia really knows how to do spectacular Christmas lights! The Christmas market in Red Square is set around one of Moscow’s largest ice rinks and there is also a fairground for children. The market is the perfect place to buy souvenirs such as the typical Russian ‘matryoshka’ doll, or a Russian nested doll. 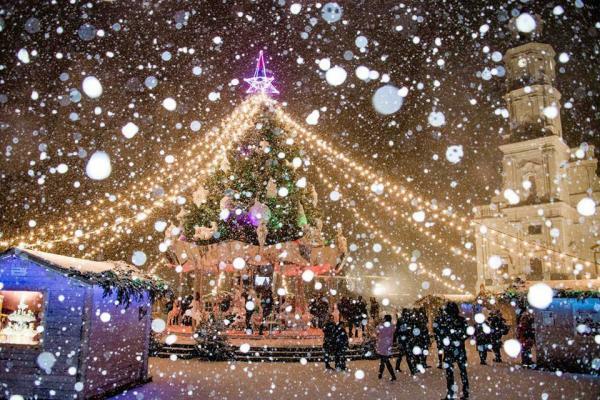 The Moscow Christmas market will be open until the 14th of January. Pushkin Square is home to the “Wiener Christkindlmarkt”, or Vienna Christmas Market. Feel like visiting Denmark? Head to the Copenhagen and Odense fair at 3/6 Ul. Petrovka. For a Czech Christmas, visit Kamergersky Pereulok – keep an eye out for the archway with a sign saying “Pražské vánoční trhy” (Prague Christmas Fair). One square at Manezhnaya Ploschchad is home to chalets from seven different countries: France, Austria, Belgium, Czech Republic, Denmark, Switzerland and Latvia offer their own traditional festive foods and souvenirs. Alternatively (or as well! ), Gluttons’ Row on Kuznetsky Most is where you can fill up on caviar, cider and sbiten (a hot, honey-based drink). Head on a full-day winter tour of Moscow, including a visit to the majestic Kremlin, St Basil’s Cathedral and Red Square. Short on time? Go on the half-day tour around Moscow’s holiday markets instead! Don’t forget to book your Moscow hotel! 150+ cabins at Pionerskaya Square will be open until the 7th of January. Different days of the fair are dedicated to different countries with creative workshops held at the wooden chalets of that country! Examples include the Day of Belarus, Day of Israel and Day of Czech Republic. The huts offer traditional fare from all the different countries, as well as from regions around Russia. There are also musical performances and competitions for children. Want to see a classical Russian ballet at one of the most famous theatres in the world? Book now to see Sleeping Beauty, Cinderella, The Nutcracker or Swan Lake! Open slightly longer until the 14th of January is the more crowded Christmas fair on Ostrovsky Square. The most central Christmas market in St Petersburg, the market offers souvenirs, gifts, sweets, pastries, mittens, socks, jewellery and more. You can warm up with tea, coffee or mulled wine and watch theatre and musical performances as well! Another Christmas market is located on Yelagin Island with lots of stalls selling traditional Russian souvenirs and Christmas goods. It is held at Kirov Central Park of Culture and has a fee of 100 roubles for entry (approximately €1.30). The fair continues in the new year from 2nd – 8th January (daily 12:00 – 20:00) and then from 11th – 27th January (Fridays 15:00 – 20:00 and Saturdays and Sundays 12:00 – 20:00). 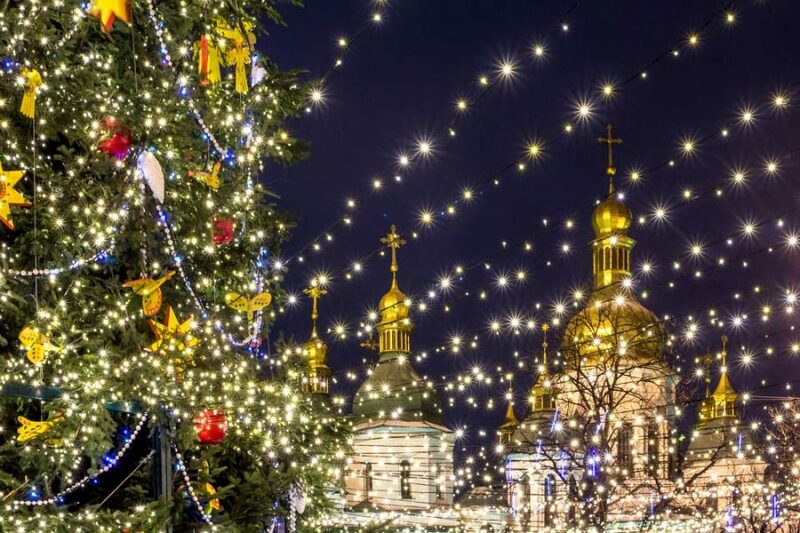 An island built in the centre of St Petersburg, New Holland Island is home to a Christmas fair with an 8m-high Christmas tree, 14 stalls with gifts, souvenirs and confectionery and also performances by street orchestras, the Nutcracker ballet shown on a big screen and a large ice rink. Open 1st January (12. 00-22.00) and 2nd – 8th January (11:00-22:00) at 2 Almiralteysky canal embankment. Don’t forget to book your hotel in St. Petersburg! 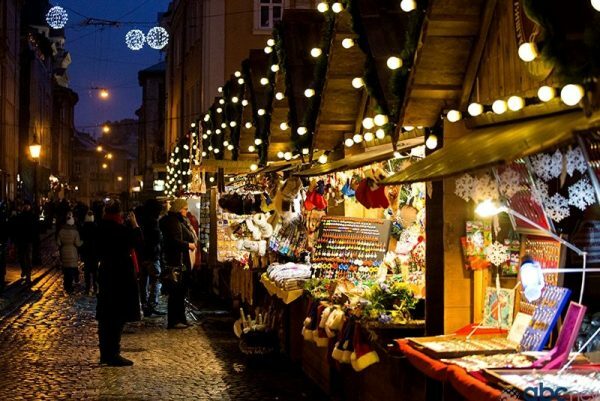 The Ljubljana Christmas market or the ‘Ljubljana Festive Fair’ is set up on the banks of the Ljubjanica river. 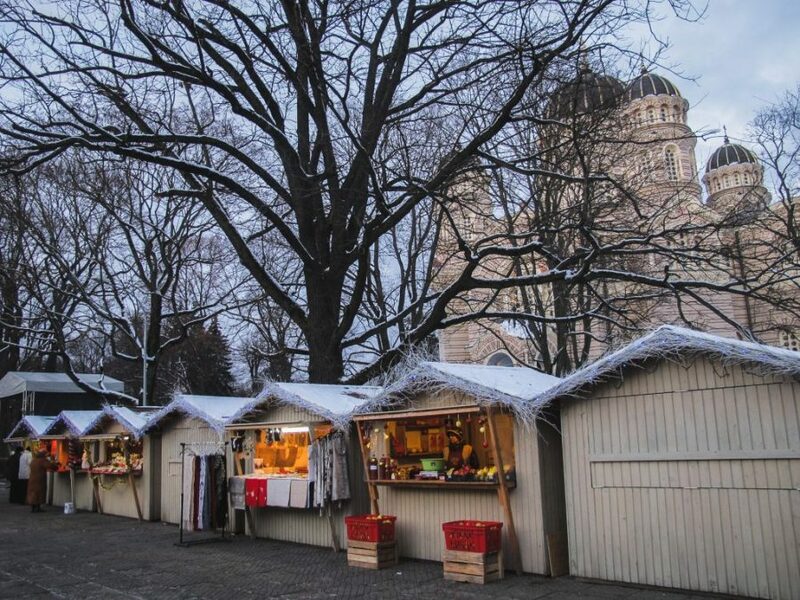 There are four Christmas markets in the historic centre of the city – the ones at Breg Embankment and Petkovškovo nabrežje run until January 2nd and the two at Pogačarjev trg Square and Ljubljana Castle continue until the 6th of January. The wooden huts offer various products by Slovenian designers including headwear, gloves and scarves and also arts and crafts items, festive souvenirs and various Slovenian culinary products such as desserts, honey and schnapps. Catering stalls offer mulled wine, warm tea, liqueurs, sausages, various grilled dishes and other foods. Explore Ljubljana on a festive 2-hour walking tour of the Old Town, including visits to the market and a popular cafe for delicious gingerbread! Book your hotel in Ljubljana before you travel! Mercado Navideño Sevilla Capital (Christmas market on Nervion Plaza) in Seville attracts thousands of visitors to see the beautifully decorated wooden stalls and also cultural and artistic performances. You can also see Nativity Scenes, musical choirs called “campanilleros“, and stalls where you can taste many traditional sweets. The Mercado Navideño de Artesanía in front of the Town Hall specializes in handcrafted pieces made by local craftsmen across almost 80 stands offering ceramics, jewellery, wooden toys and clothes, all in typical Andalusian style. Navidad En La Alameda De Hércules is a Christmas market is located in one of the city’s trendiest neighbourhoods, the Alameda. A traditional marketplace with a variety of attractions including Disney characters, pony rides, presents and more. The markets continue until the 5th of January. Book a hotel in Seville. Both the Mercado de Navidad in Plaza Bib Rambla and market at Puerta Real de España outside the Isabel La Catolica Theatre end on the 5th of January. The markets offer local produce including artisanal goods such as puppets, ceramics, wooden toys, jewellery, glass decorations, traditional cakes and sweet and traditional Christmas musical instruments like tambourines and zambombas. The Three Wise Men parade also happens on the 5th of January, a beautiful parade with around 30 decorated carriages and spectacular costumes. The parade symbolizes the coming of the Three Wise Men to Bethlehem. Don’t forget to book a hotel in Granada! Inside Valencia’s iconic Colón market you can find an arts and crafts market with Christmas products and various performances which will continue until the 6th of January. Valencia’s traditional market will be held at Market Square this year with around 80 stands selling Christmas candy, gifts and souvenirs. At City Hall Square you’ll find an ice rink for adults and another one for children as well as a carousel – the ice rink costs €8 for adults and €5 for children and the carousel is €3.50. Until January 5th Tapinería Market has “warm terraces” and stalls offering fashion, jewellery, art, and more as part of Hohoho! The City of Arts and Sciences is also host to food trucks and a Christmas market offering festive goodies until January 6th. Find out more on Valencia Trip! Book your hotel in Valencia before you go! The main Christmas market in Zaragoza can be found at the Plaza del Pilar, in front of the huge Basílica del Pilar. This Christmas market is called Mercado de Comercio y Artesanía and is organised by the artisans of the Aragon region. You can find all kinds of handcrafted goods and culinary delights at this market. There is also a merry-go-round and a Ferris wheel, as well as a giant Belén (nativity scene) with over 100 figurines. Ends on the 7th of January. Getting to Zaragoza: Zaragoza is a 3-4 hour drive from Madrid or 1.5 hours by train. Remember to book your hotel in Zaragoza! While the main Christmas market in Lugano ended on the 24th December, Piazza Manzoni is home to a Christmas Village with wooden huts, a giant Father Christmas and workshops, readings and entertainment in the Big Chalet. The Christmas Village will continue until January 6th. Getting to Lugano: Lugano is a 1h15 train journey from Milan or 1.5 hours by car. Lugano Airport is 20 minutes by car or 33 minutes by train from the city centre. Don’t forget to book your Lugano hotel! The Villars Christmas market continues until the 6th of January and offers handcrafted items and seasonal Alpine dishes. The market is located in the heart of the resort in the Vaudois Alps. Getting to Villars-sur-Ollon: Lausanne is a 1-hour drive away (1h15 by train) and Geneva is 2 hours away by train or car. Book your hotel in Villars-sur-Ollon! St Sophia Square is home to a huge Christmas tree from the Carpathians forest. The market has various holiday illuminations, a large carousel, food and drinks stalls, stands offering festive souvenirs and performances by local musicians and artists. An ‘entertainment town’ with attractions and rides is located on Mikhailovskaya Square. The market continues until the 13th of January, as does the market at Volodymyrsky Passage, a magical tunnel with snow decorations and a Christmas fair. The Expocentre of Ukraine has over 20 entertainment locations. The Winter Wonderland is free and is a small town of Christmas fairs, showrooms of Ukrainian fashion designers and a fireplace and food court called ‘Bavarian yard’. There is also an ice rink, puppet theatre and fairground rides and this will be on until February 18th. 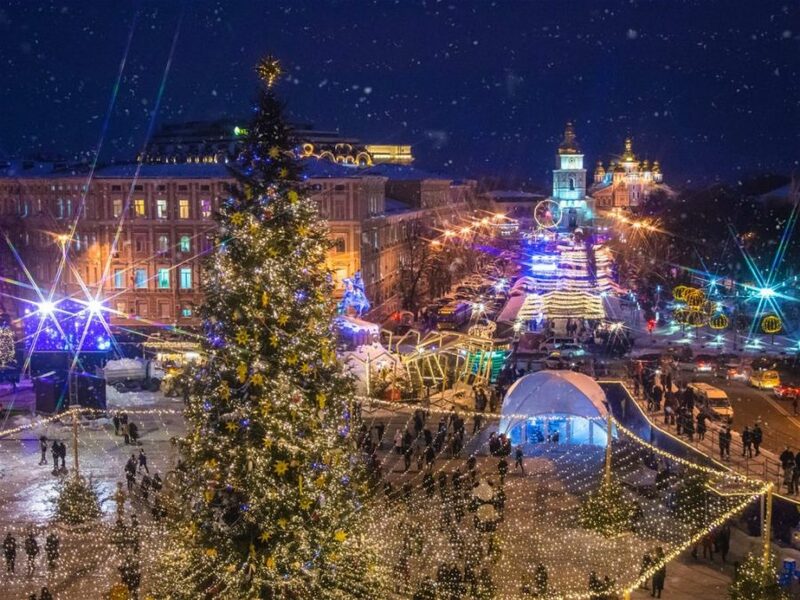 Kontraktova Square will also host a Christmas fair with a 20m-high Christmas tree in the centre. The square will also have various concerts until the fair closes on January 19th. 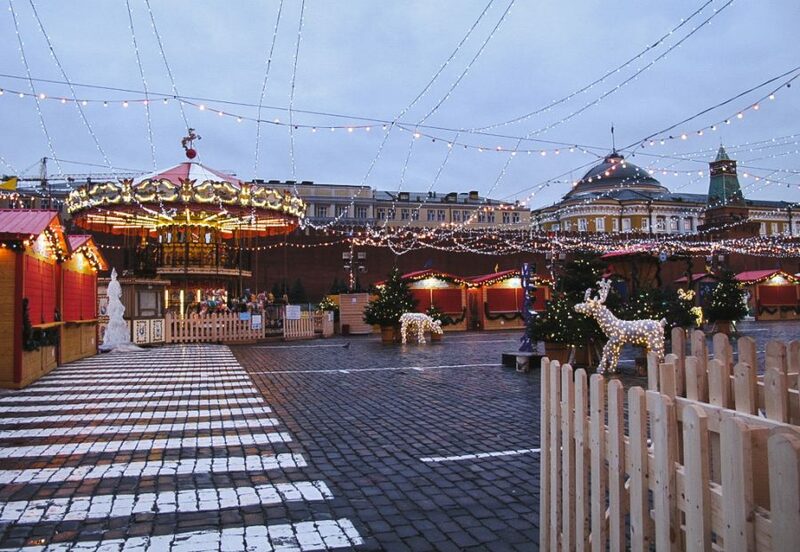 There is another market at Mariinsky Park with sledging for children and festive workshops. AduIts can treat themselves to mulled wine. The Ice Age market at Spivoche Pole is the best fair for winter sports activities. There are two hills (one 70m and one 30m where you can go sledging and snow-tubing. You can also see the husky puppies and shops offer sweets, honey, wool products and souvenirs. The market will be open until January 9th. Poshtova Square is the site of the Fairy Tale festive market. The Christmas Fair has an ice rink, an exhibition of ice sculptures and is a charity event, so all money raised at the festival is donated to the children’s hospital. Don’t forget to book your hotel in Kiev! 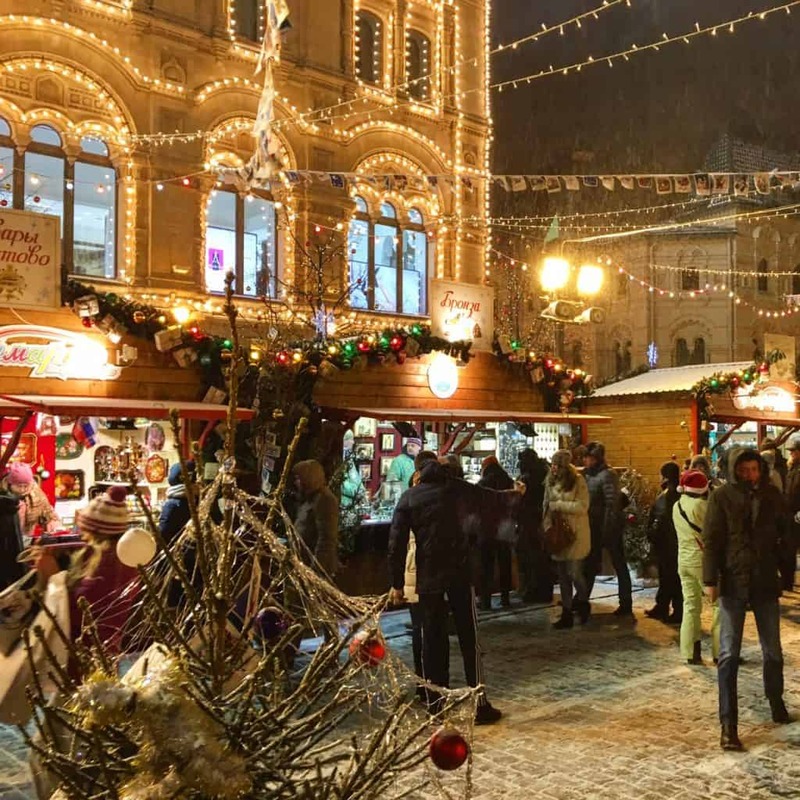 The Lviv Christmas fair will take place near the Opera House until January 20th. Festive huts will be installed near the Opera and on Rynok square where you can buy some festive delicacies and hot drinks, as well as Christmas souvenirs such as vyshyvanka (traditional Ukrainian national dress), confectionary and ornaments. On January 8th you can see the “Christmas Star Flash” festival in the Old Town where you’ll be able to watch the Nativity parades and Starholders procession. Don’t forget to book your Lviv hotel. Continuing until the 5th of January, Edinburgh’s Christmas market in East Princes Street Gardens is known as the ‘European Market’ with stalls offering Christmas souvenirs and gifts as well as mulled wine and hot toddies with Scottish whiskey. Fairground rides include the Big Wheel which provides panoramic views, a traditional carousel and the Star Flyer. You can also find Santa’s Land and Santa’s Grotto as well as the Christmas Tree Maze in the lower part of the gardens. The market is open from 10am-10pm. 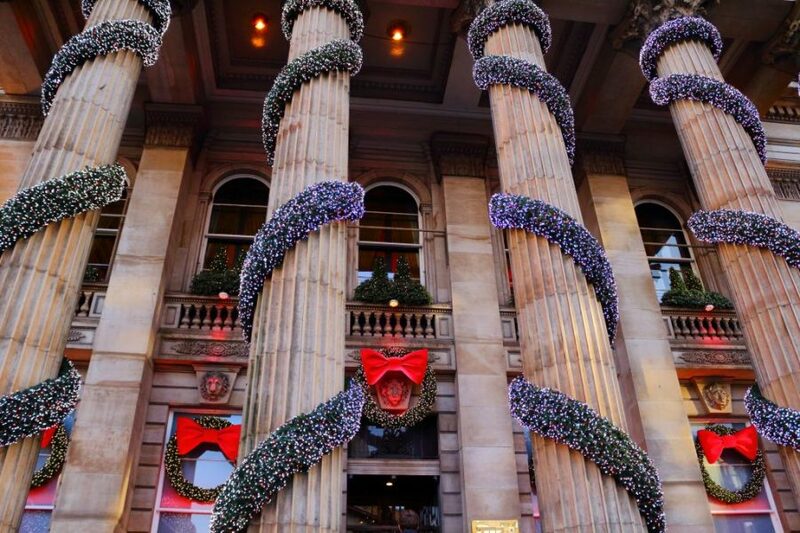 Discover Edinburgh’s Christmas lights on this 3-hour walking tour of the city, including a visit to a local pub. Don’t forget to book a hotel in Edinburgh! Bournemouth’s Christmas market will continue until the 2nd of January. The ‘Alpine Market’ is located on The Square and quaint chalets serve Christmas treats, stocking fillers, handmade gifts and local produce. If you get hungry, there are traditional hog roasts, bratwurst sausages, roasted chestnuts, churros, waffles and sweet treats to snack on. You can also head to the Alpine Lodge Bar for meat and cheese boards as well as festive drinks. Getting to Bournemouth: Bournemouth is 2-3 hours by car from London or 2 hours by train. Bournemouth has its own airport, 50 minutes by bus from the city centre or a 20-minute drive. Nearby Poole (20-30 minute drive or 15 minutes by train) is the main port for ferries to Jersey and Guernsey in the Channel Islands and Cherbourg (France). Don’t forget to book a hotel in Bournemouth. While Christmas at Kew continues until the 5th of January, unfortunately, all tickets are sold out to see the mile-long trail through the botanic gardens lit with more than one million lights. Tickets for 2019 go on sale in June 2019. Hyde Park’s Winter Wonderland will run until the 6th of January. 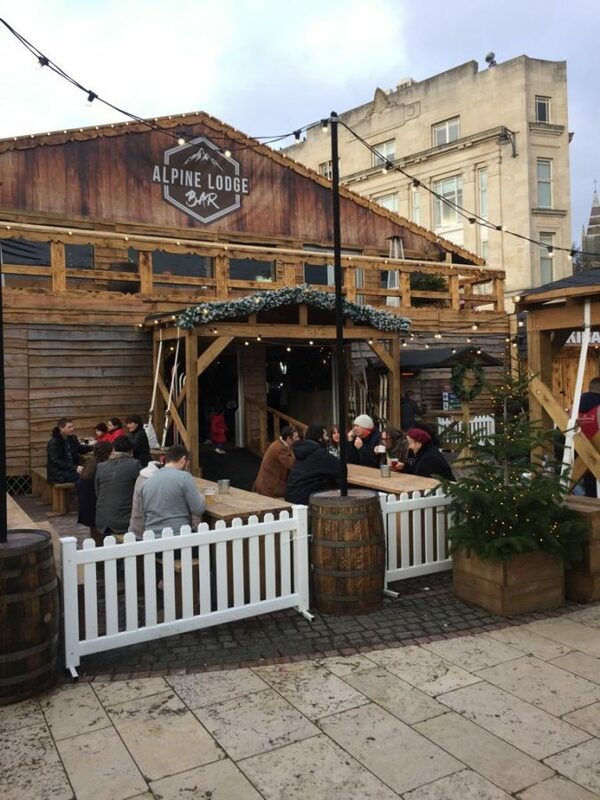 Head to Hyde Park to visit 200+ Bavarian-style wooden chalets offering souvenirs, Christmas food such as Bratwurst, flame-grilled salmon and other traditional Bavarian dishes, and festive drinks including mulled wine and German beers. Open 10am-10pm, there is so much to do at Winter Wonderland. You can choose from ice skating (£15.50), Magical Ice Kingdom (£11 – an ice and snow sculpture experience), Bar Ice (£15 including a complimentary cocktail), Giant Observation Wheel (£8), Peter Pan on Ice (£18.95), rollercoasters (£30 minimum credit for a pass for all nine rollercoasters), ice sculpting workshops (£48.50 for two people), two different circus performances (£15) and more! Don’t forget to book a hotel in London! 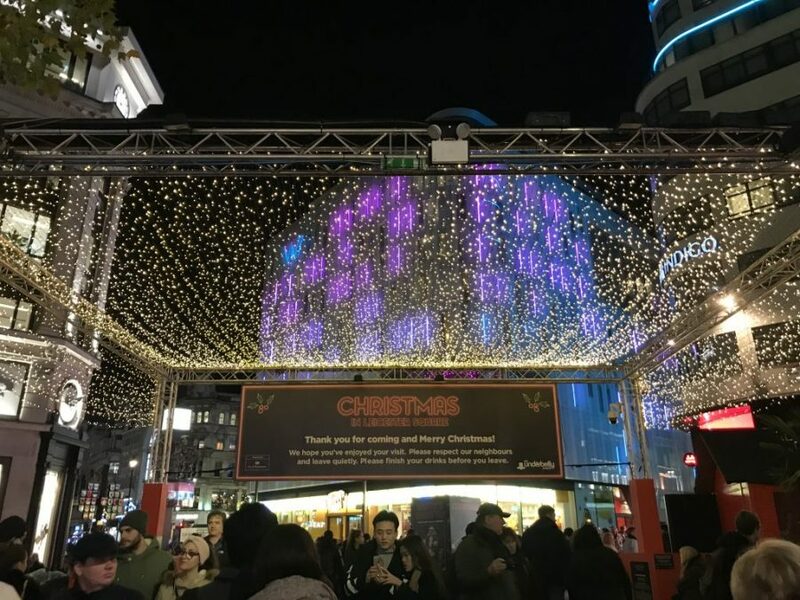 Christmas in Leicester Square turns Leicester Square into a full-on Christmas market with Santa’s grotto, stalls with souvenirs and gifts, food and drink, and festive entertainment curated by Udderbelly. Try some mulled wine or a delicious hot snack from one of the many food stands or buy anything from confectionary to imported savoury treats, traditional children’s wooden hand-crafted toys and festive ornaments. The market runs until January 6th and has free entry. Explore the Christmas markets in London and see the best Christmas lights on this festive 3-hour tour of the capital! I hope you enjoyed my round up of Christmas markets in January! Let me know in the comments if you manage to visit any or if you have visited any previously. Don’t forget to pin this article if you found it helpful!